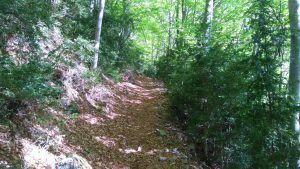 This is a suitable route at any time of the year, but especially good in spring and summer because of its large number of shaded areas. Beware in winter because some areas might be frosted. 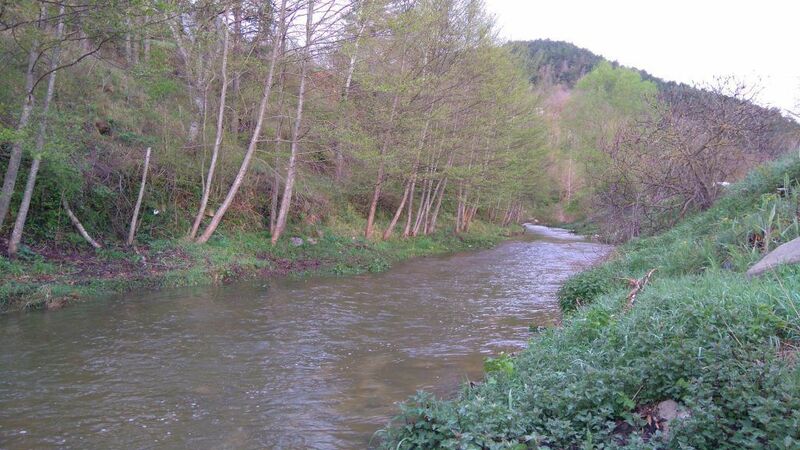 During rainy seasons, there are chances to get a bit wet while crossing the Merdàs River. 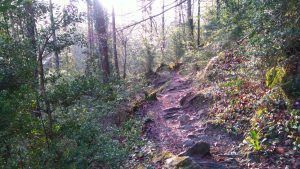 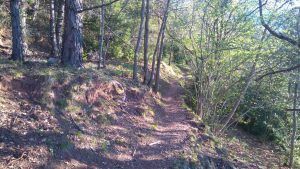 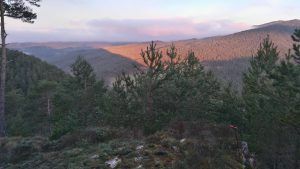 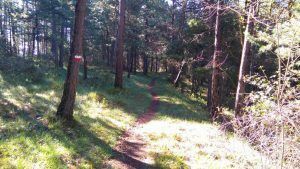 This is an easy and non-technical trail that will get you into a privileged and varied environment. 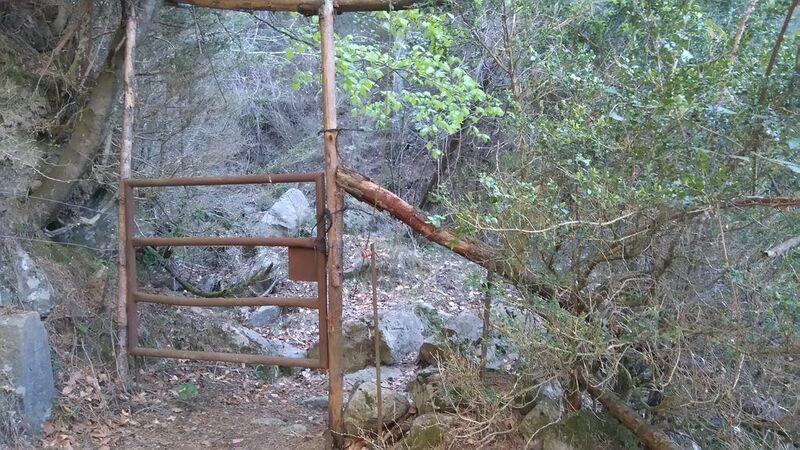 Along the route you will come across some farming areas, so be careful when passing by enclosures and always make sure that you leave the gates closed behind you. 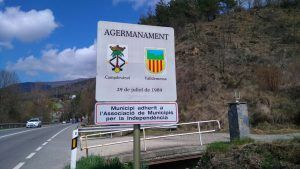 Starting from Plaça de la Mainada move towards Barri de la Creu. 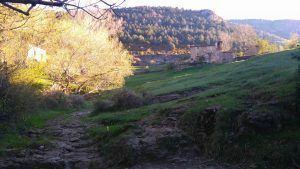 At the end of the street keep walking until you cross the Merdàs River. There is a short stretch by track and then take the uphill path. 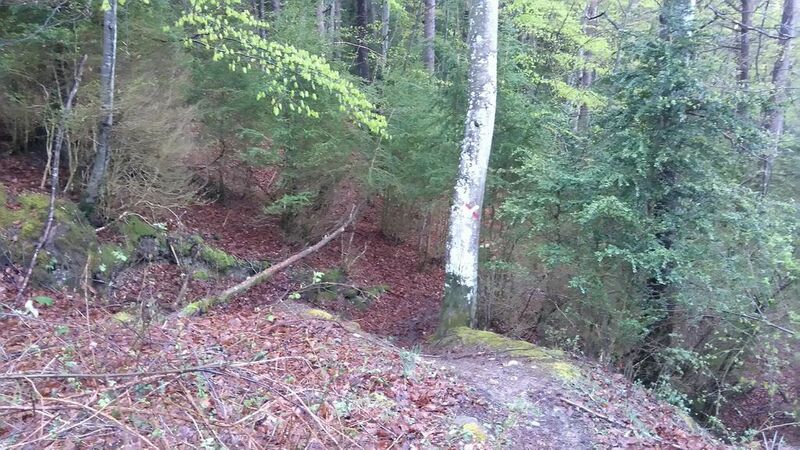 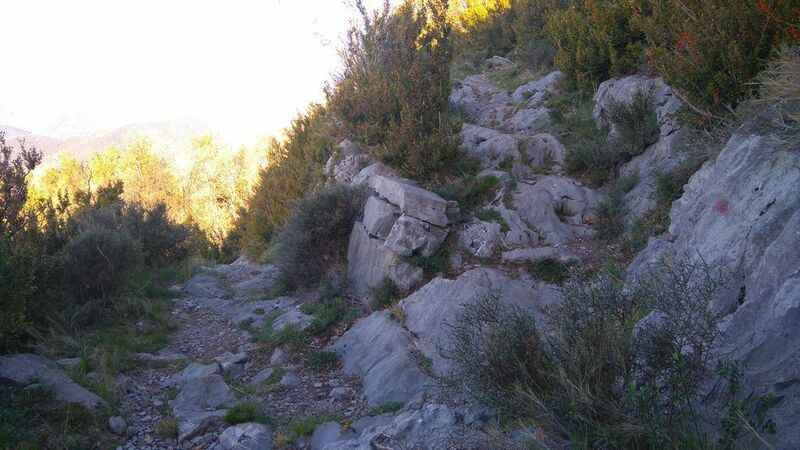 This trail is suitable for runners but be aware that it goes in constant ascent. 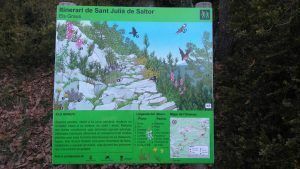 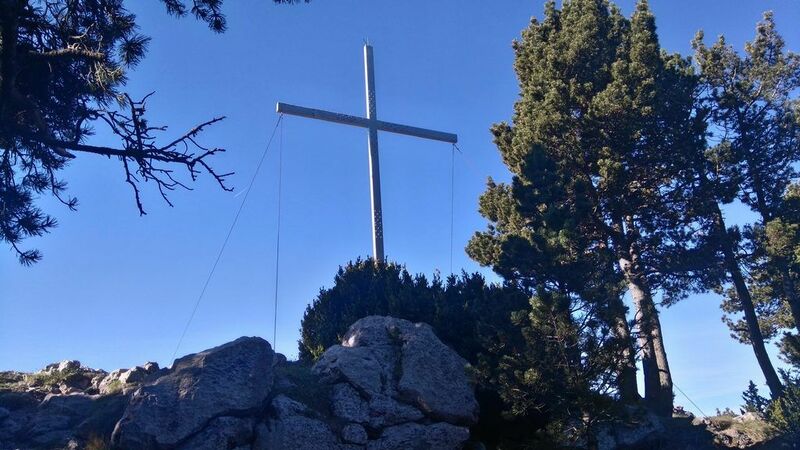 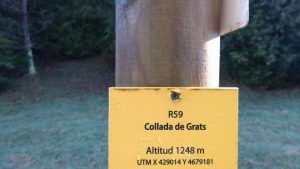 After passing some enclosures, you should be reaching the summit of Serrat del Auró. 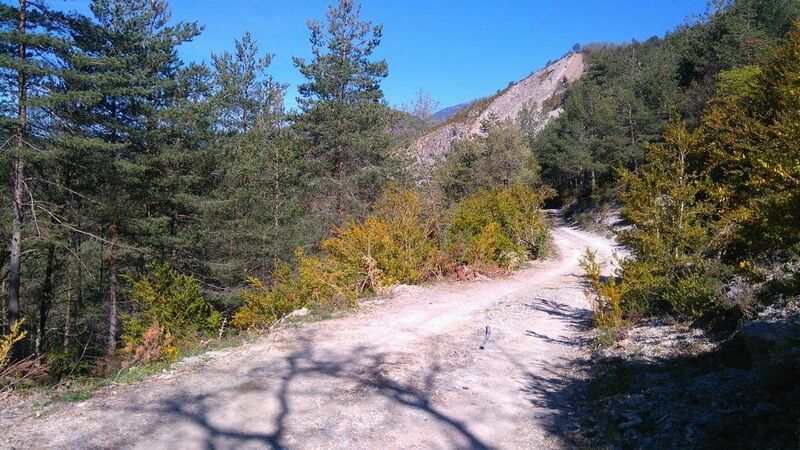 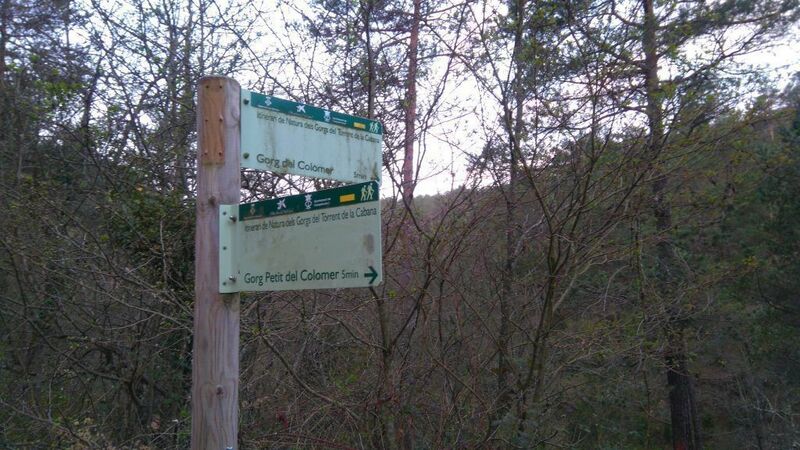 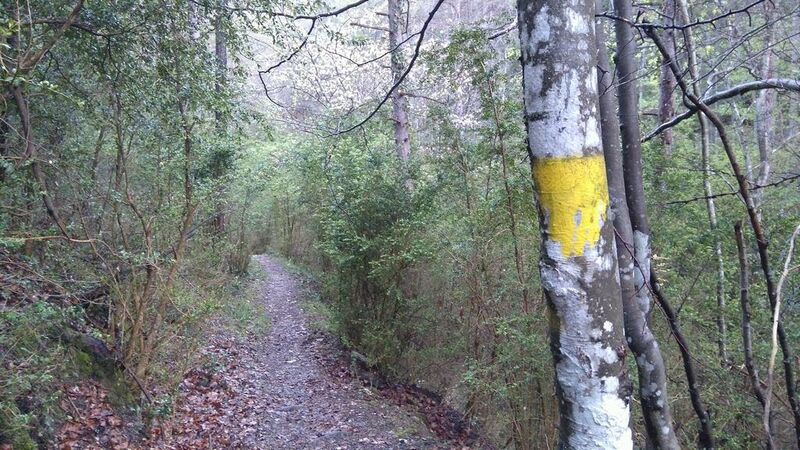 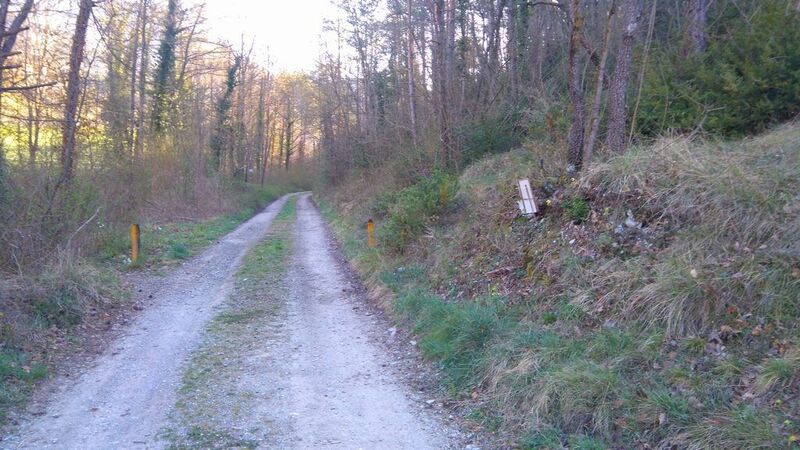 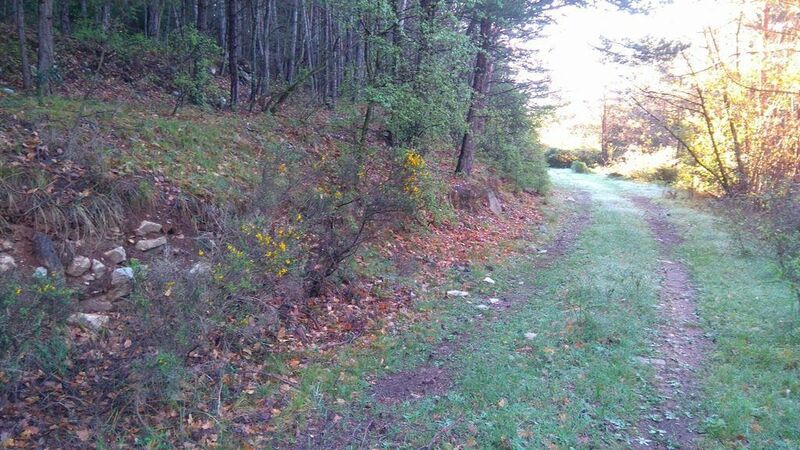 Turn right to start descending by a wide track gradually will turn in a path and will take you to Collet de Daguí. Take a sharp turn to the left and go downhill till the Torrent de Estiula. 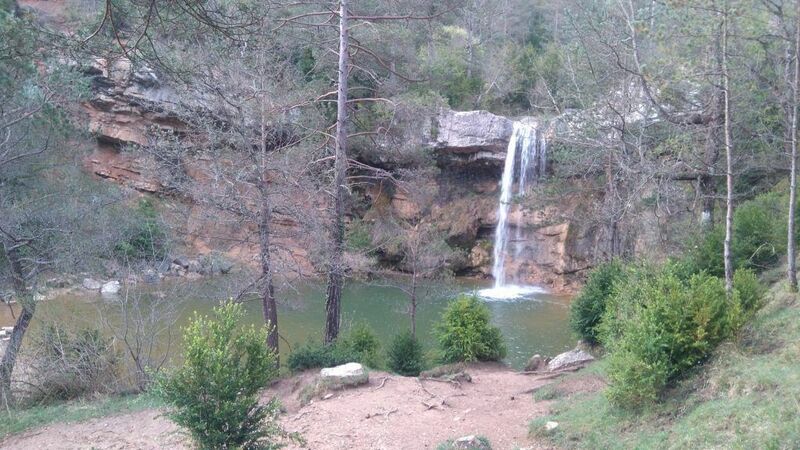 The torrent should be cross by the pool of Gran de Colomer, one of the most spectacular pools of the area. 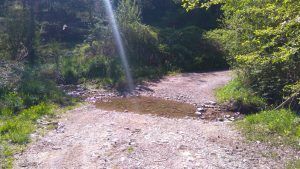 From there, keep moving by a path that goes parallel to the stream most of the time. 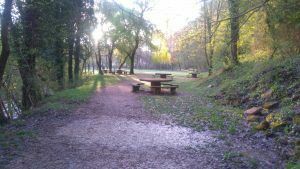 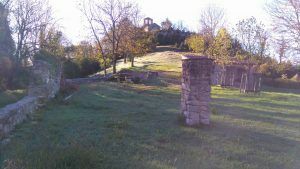 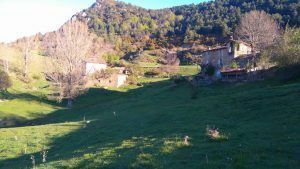 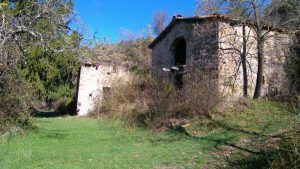 After a short rise you will get to the farmhouse of La Mosquera and, shortly after, you will find the picnic area of Font de Querol. 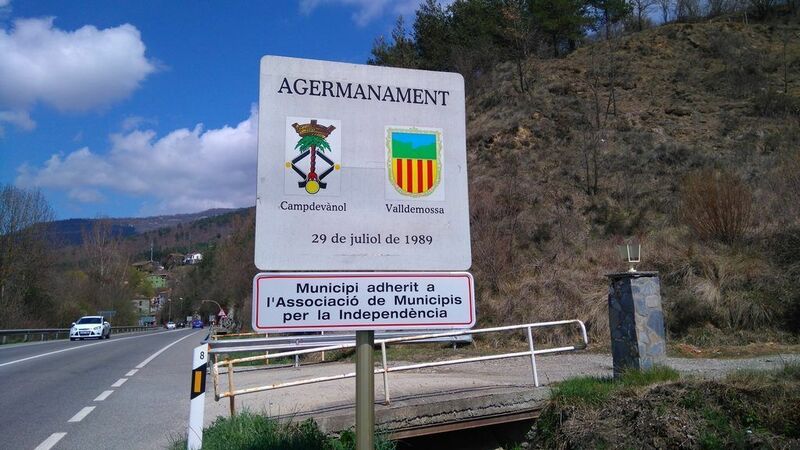 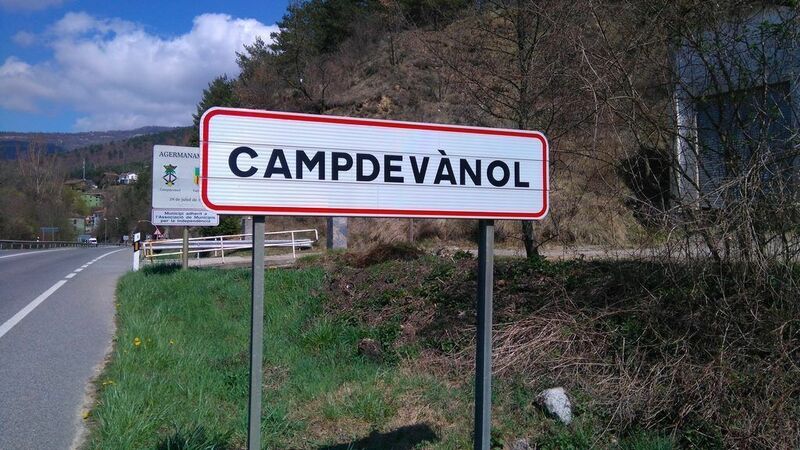 From that point, there are just 2 km left to get to Campdevànol. 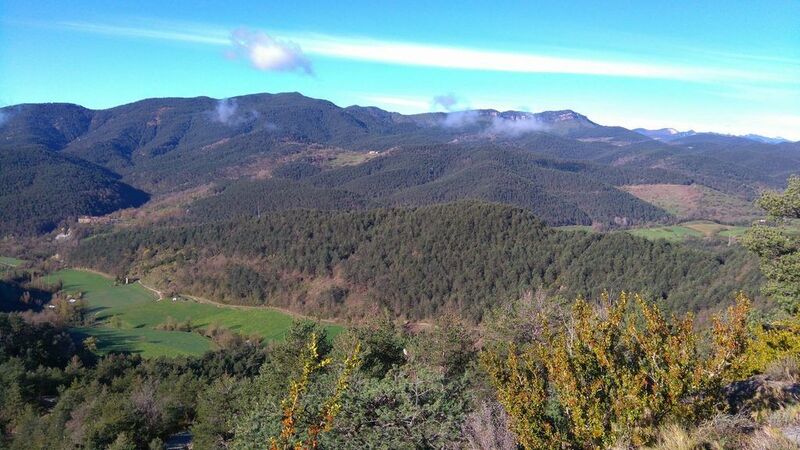 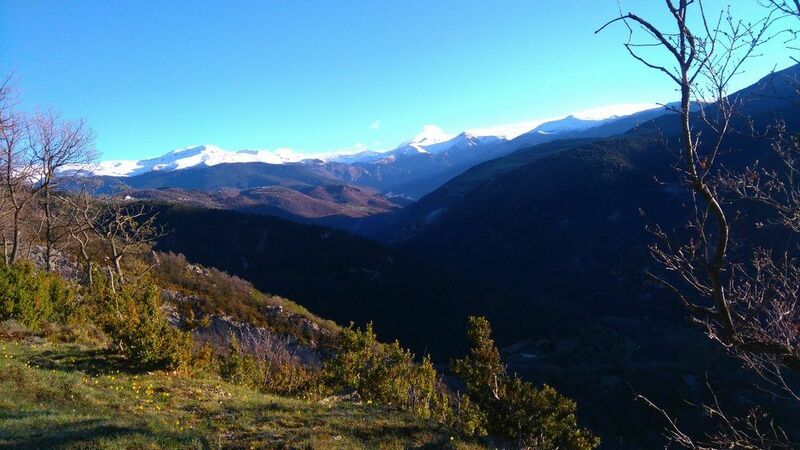 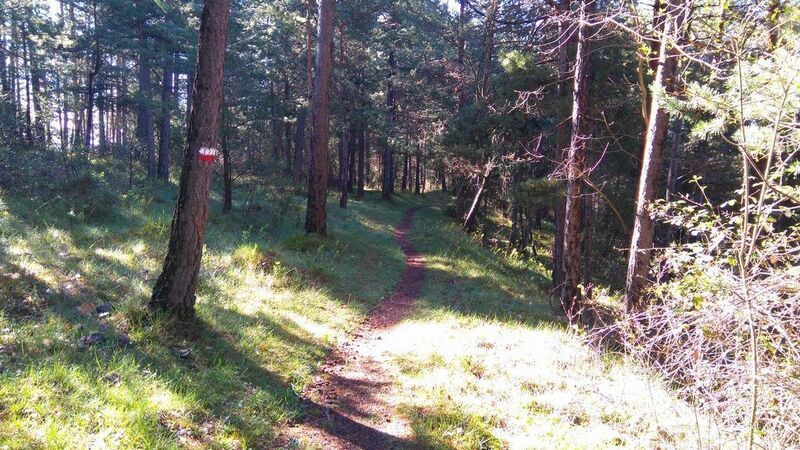 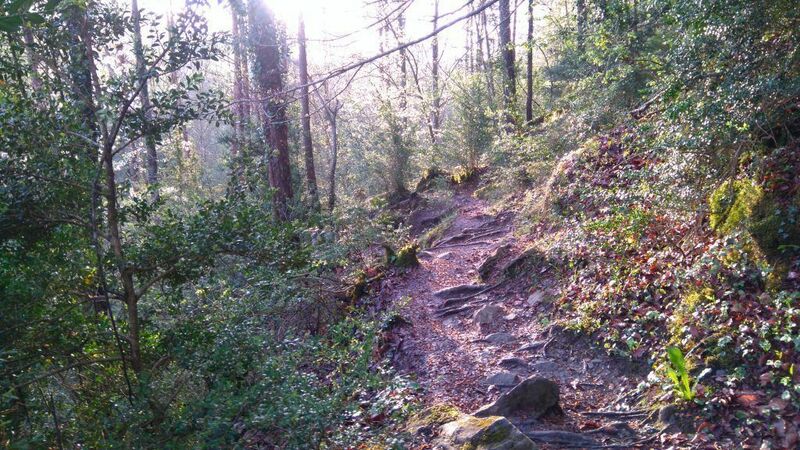 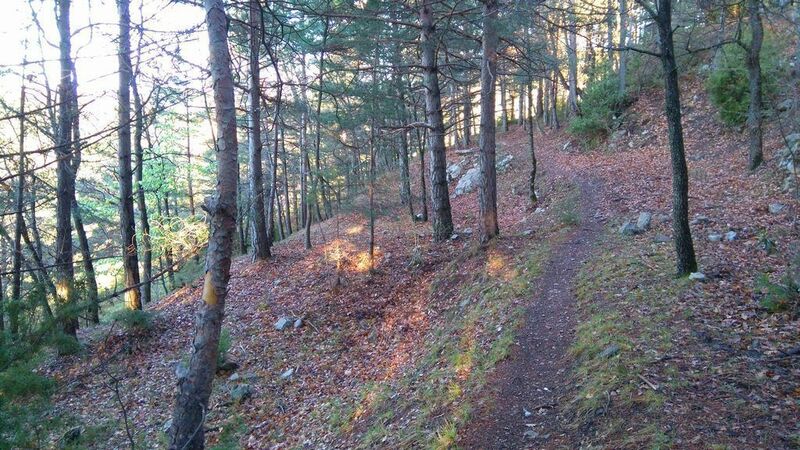 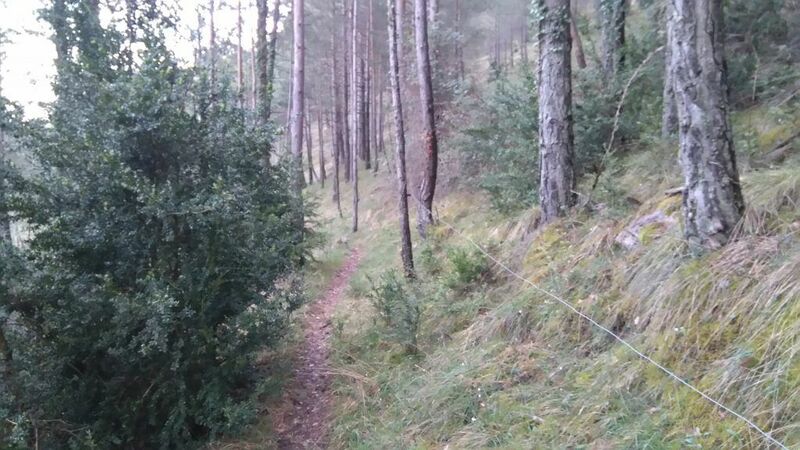 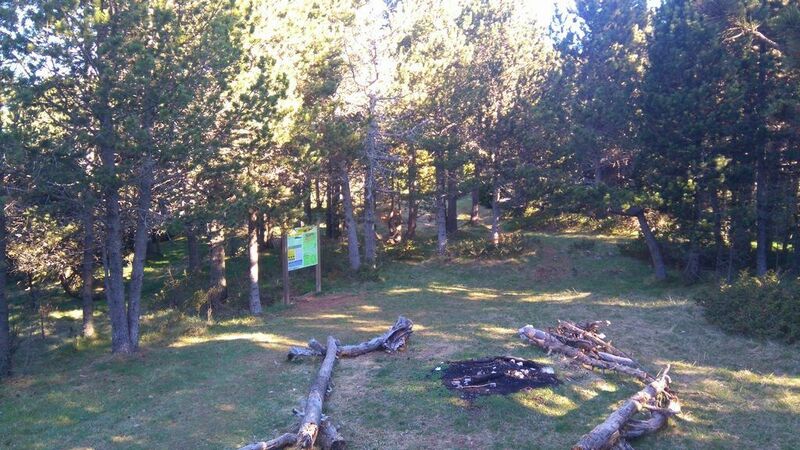 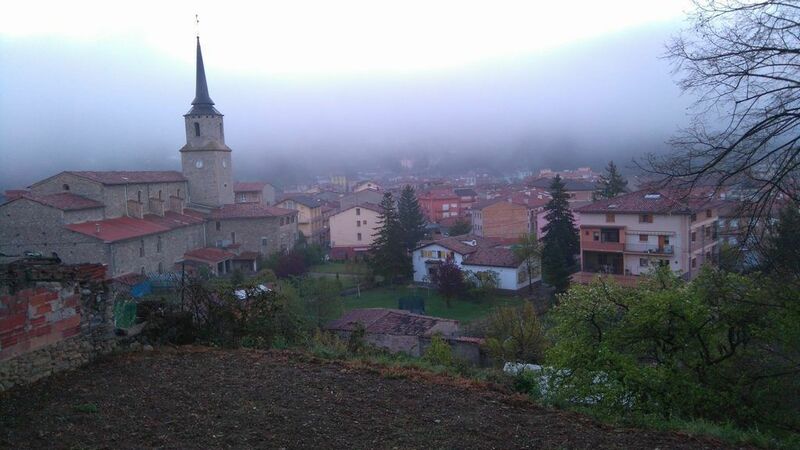 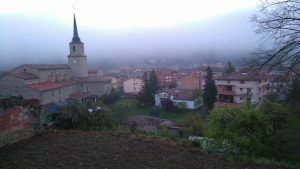 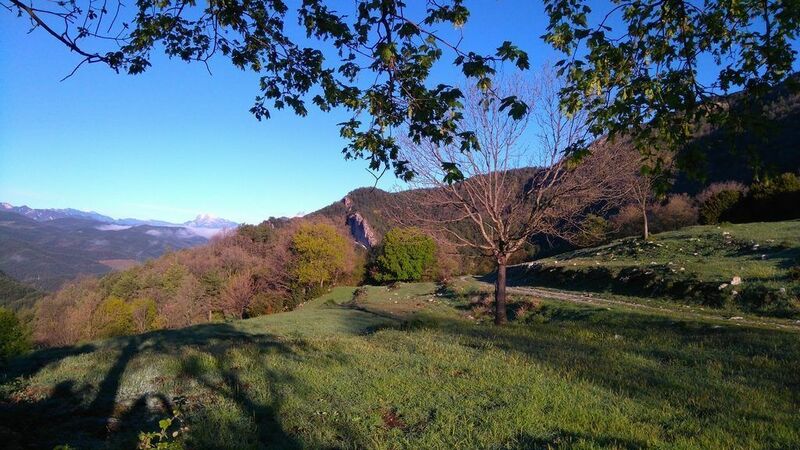 The pleasant trail of Camí Ral will directly bring you back in town. 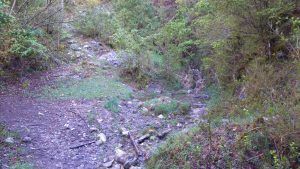 Water: All needed water facilities are available in Campdevànol. 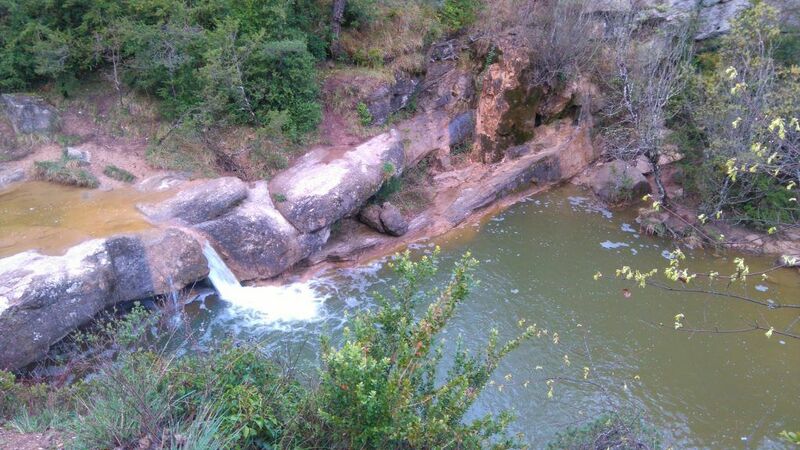 There is access to Merdás river and the Torrent de Estiula, where you could dip in, but its water is non-drinking. 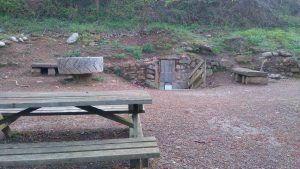 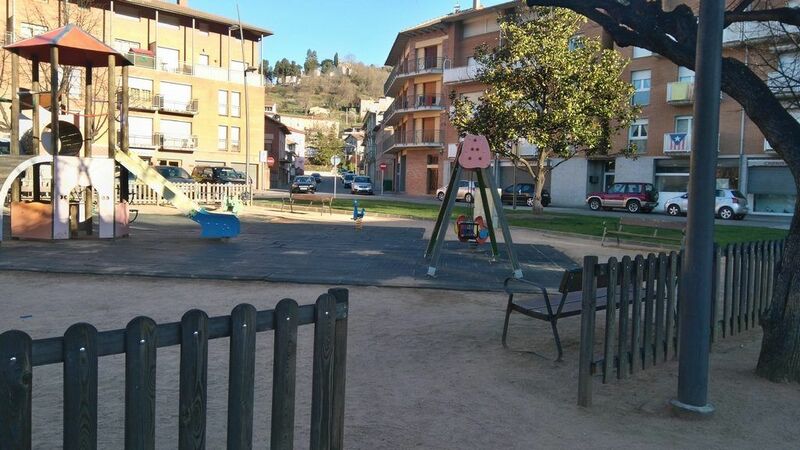 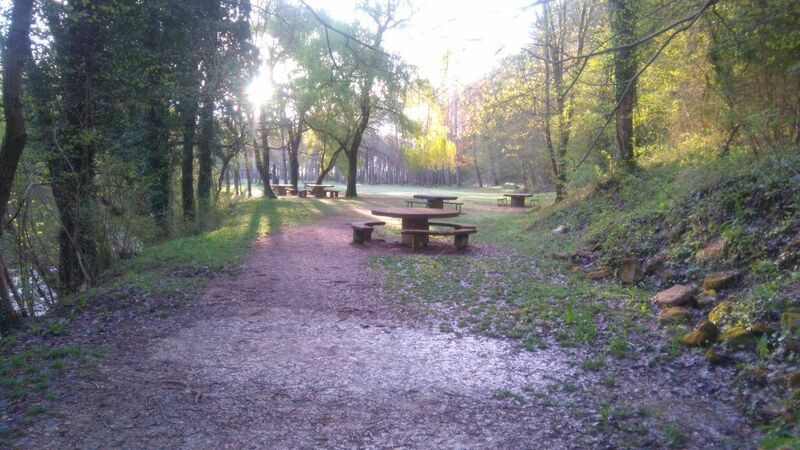 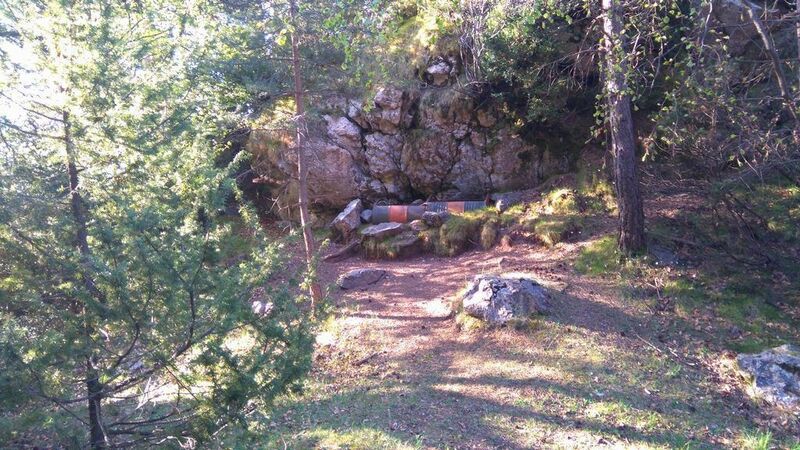 There is a fountain in the picnic zone of Font de Querol, but in summer it might be dry. 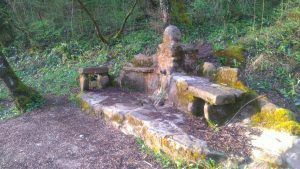 There is a fountain (Font de Sant Eudald) in the Camí Ral as well. 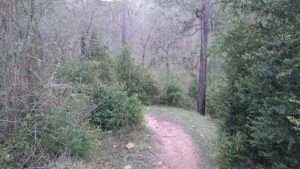 Enjoyable circuit with plenty of shaded areas and beautiful natural lookouts. 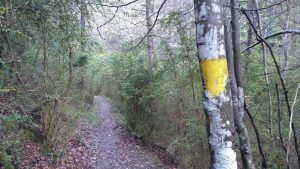 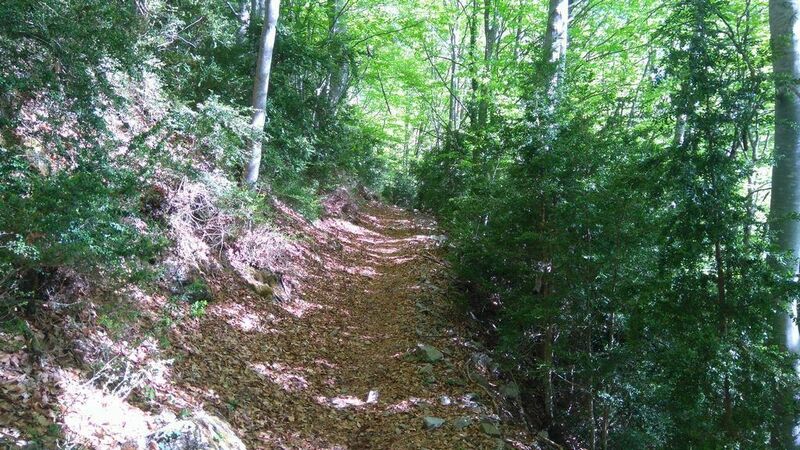 This route will get you through leafy beech forests that will make you feel peaceful and will transport you back to other times. 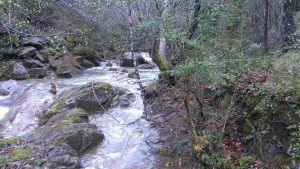 This is a suitable route at any time of the year, but beware in winter because some areas might be frosted, specially when crossing streams. 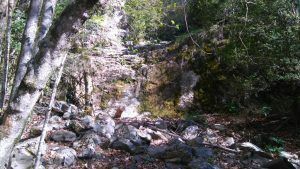 In warm periods, it is a very pleasant trail because of its shaded stretches and the many chances you will have to dip in the streams. 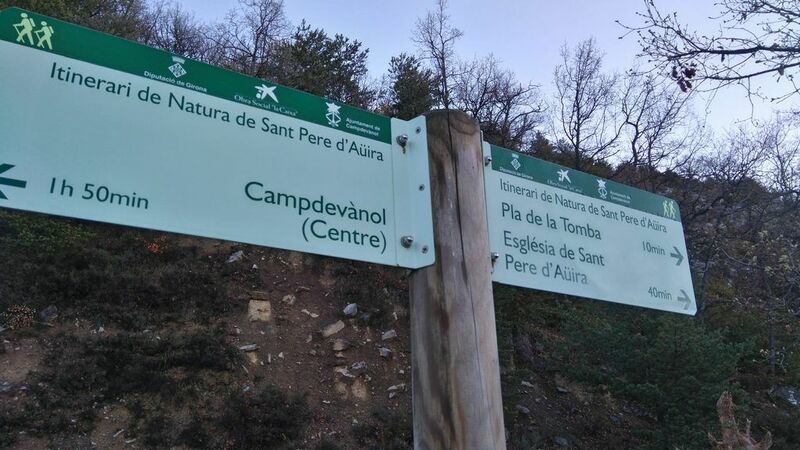 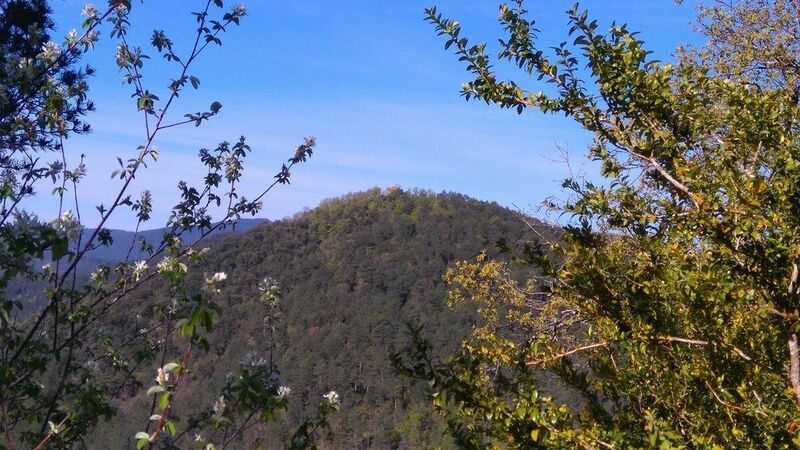 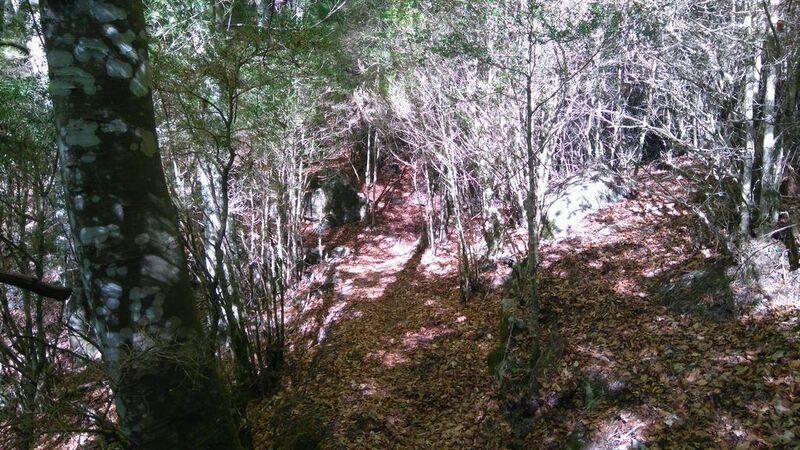 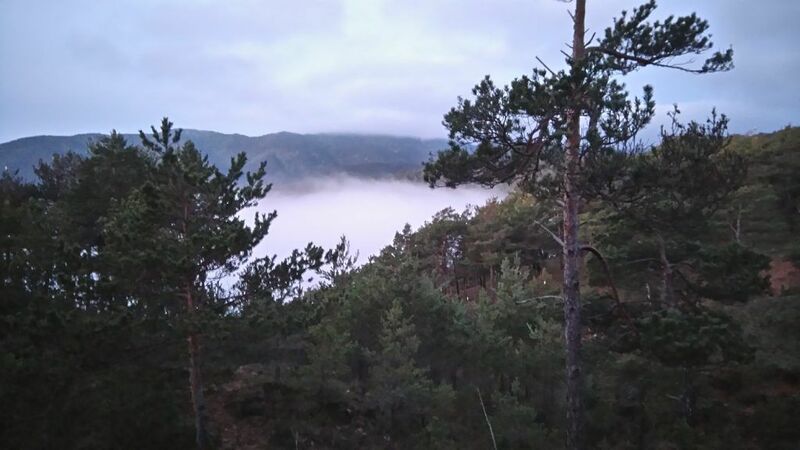 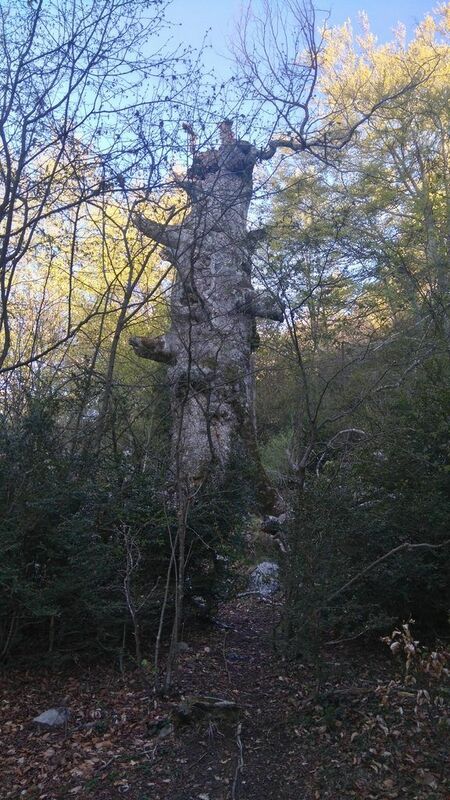 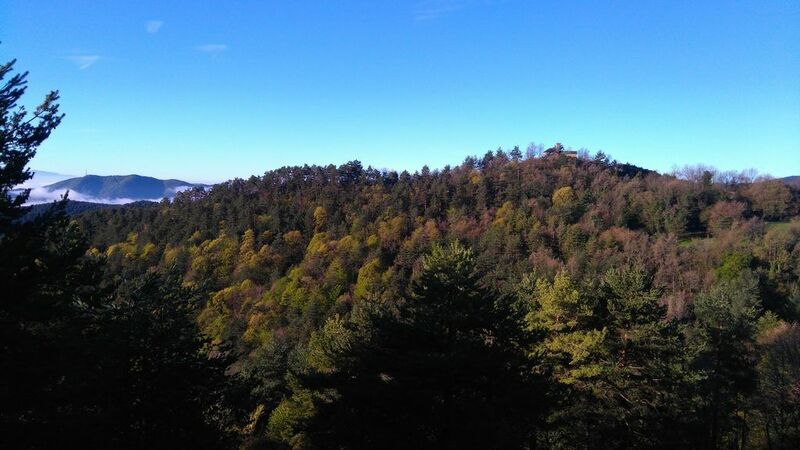 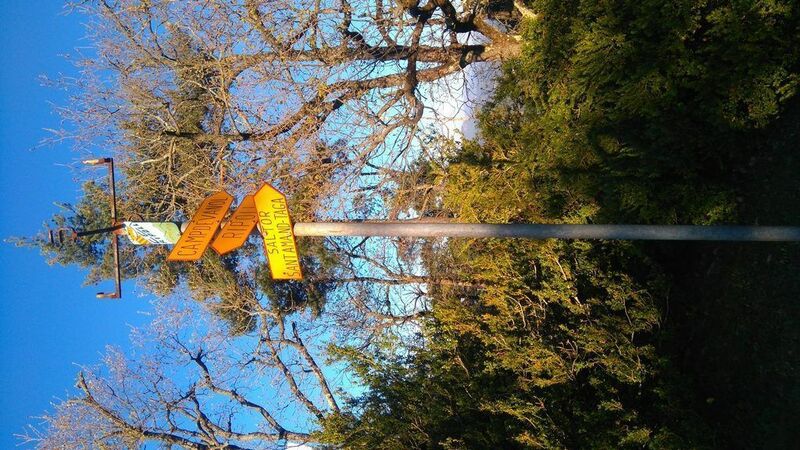 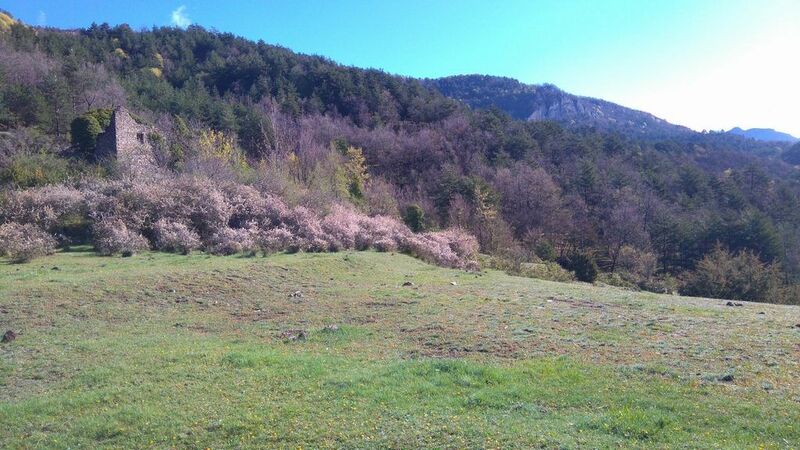 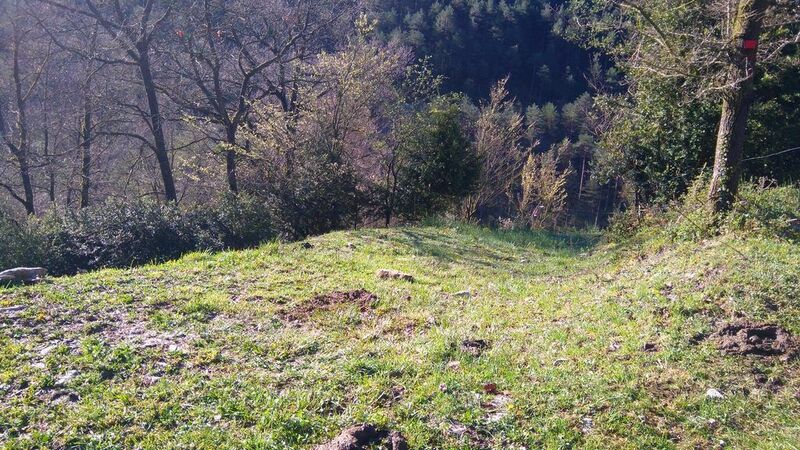 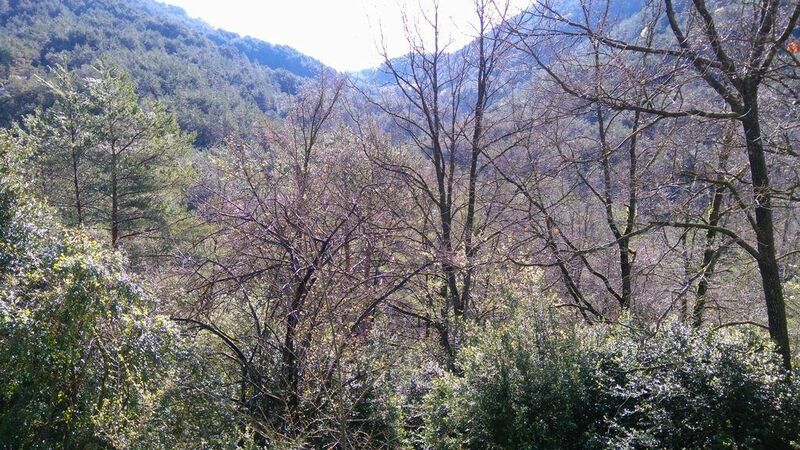 Moving between the trees, look for a hidden path that will bring you to Sant Pere de Aüira without losing height. 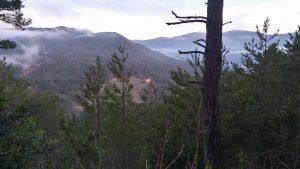 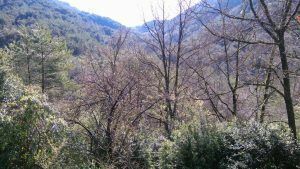 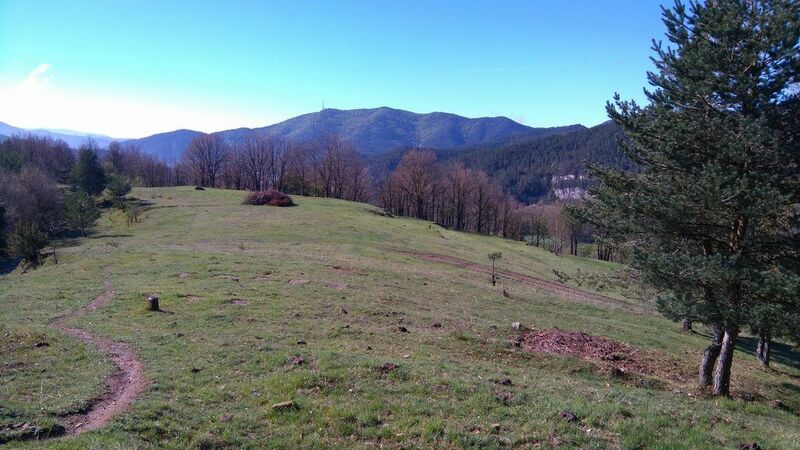 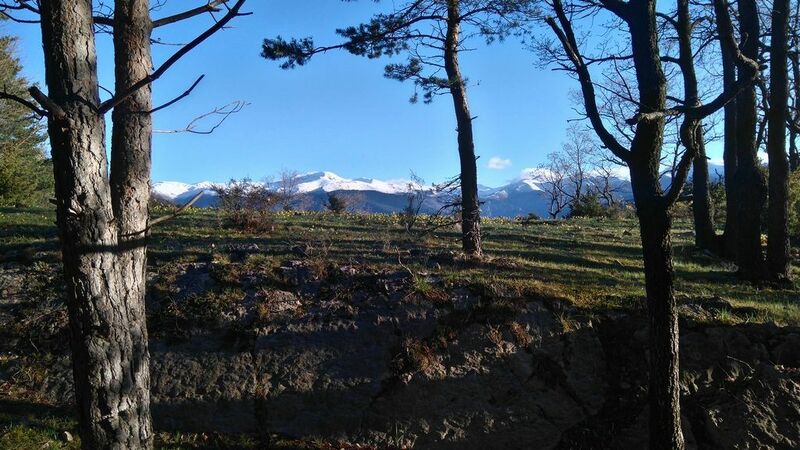 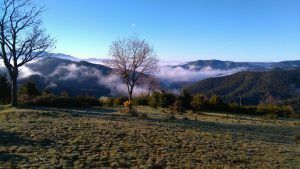 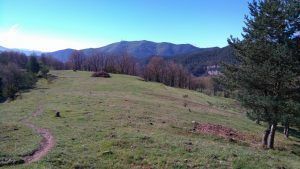 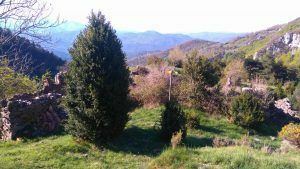 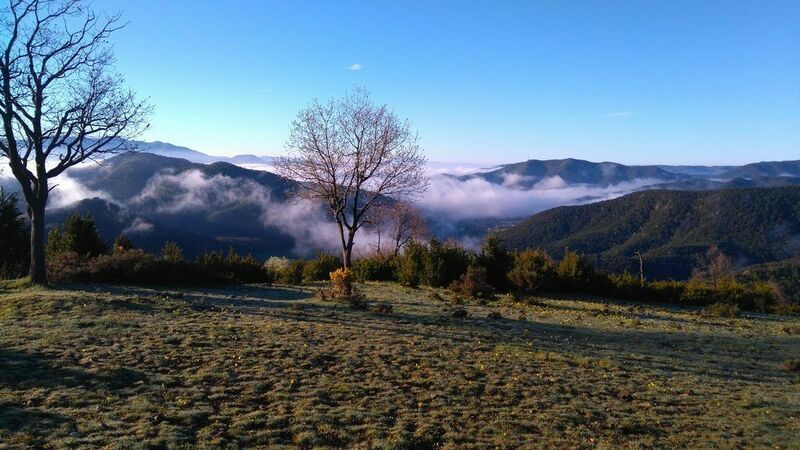 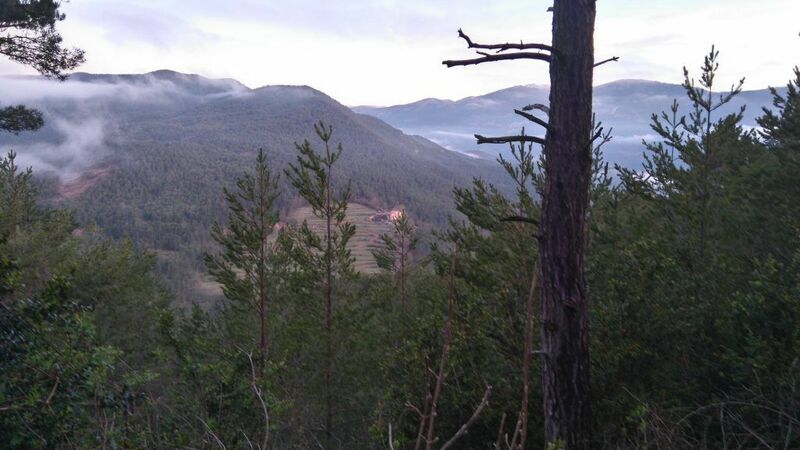 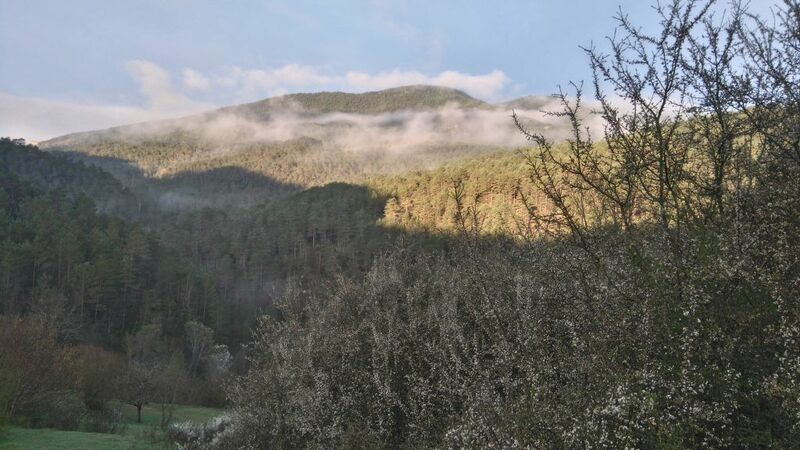 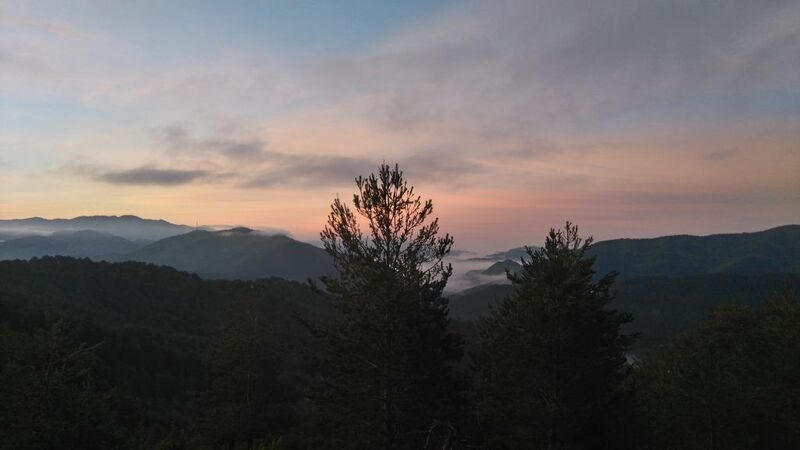 This hermitage is placed in a superb location, which has 360º panoramic views of the Taga and Pedraforca peaks and the Natural Park of Montseny. Keep moving by path towards Pla de Pruners. 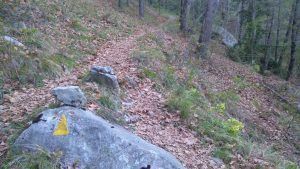 Take a sharp turn to the left just before the main trail comes to an end. After a short climb you will reach the plain viewpoint of Pruners. 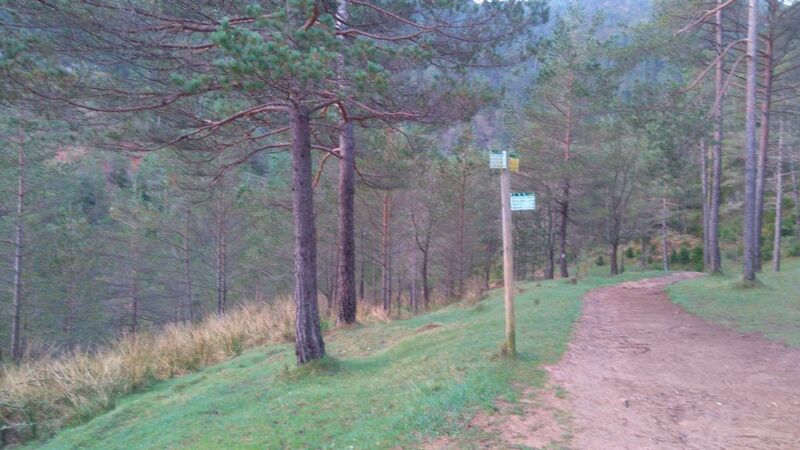 Take a break to admire the views and take a tree-sheltered path that will lead you to Collada de Grats. 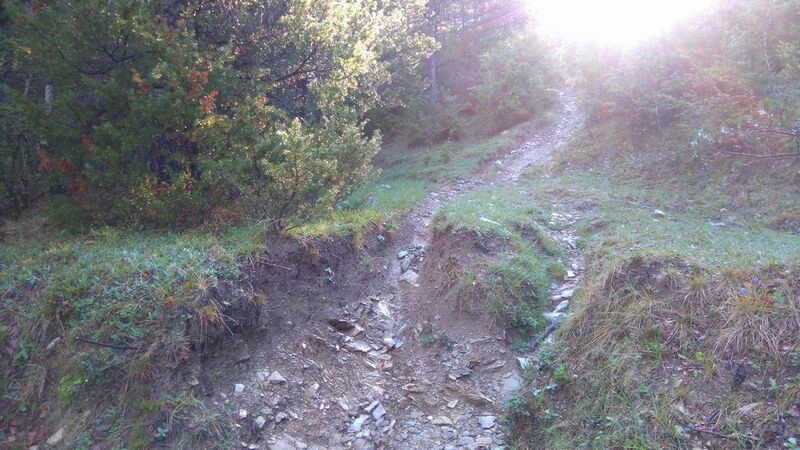 Just before getting there, there is a tricky descent that should be done cautiously, specially in rainy days. 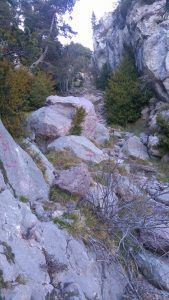 From Collada de Grats, the descent is quite easy and enjoyable, walking close to the Torrent de Grats most of the time. 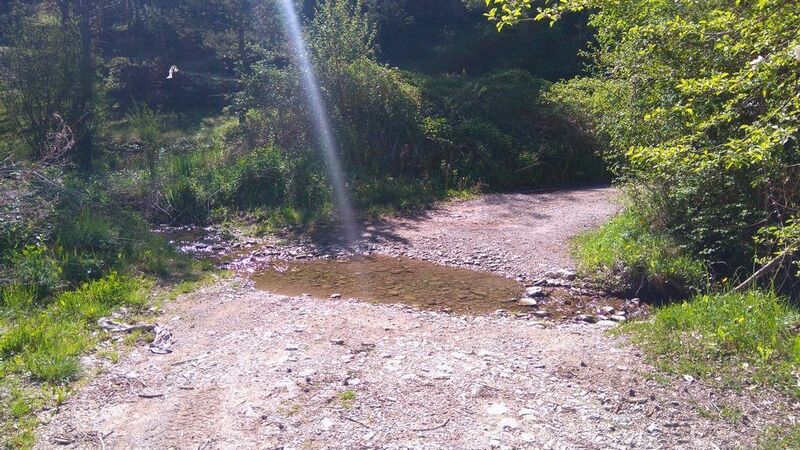 This stream should be crossed twice. 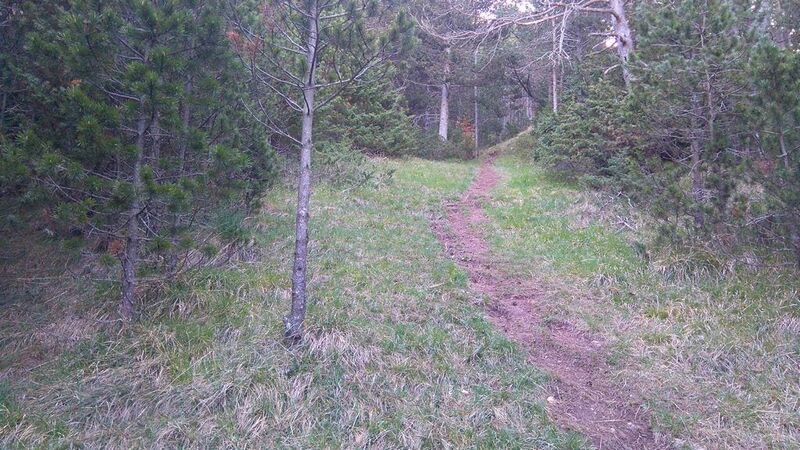 After the second time, follow an uphill path that will lead to an open space. 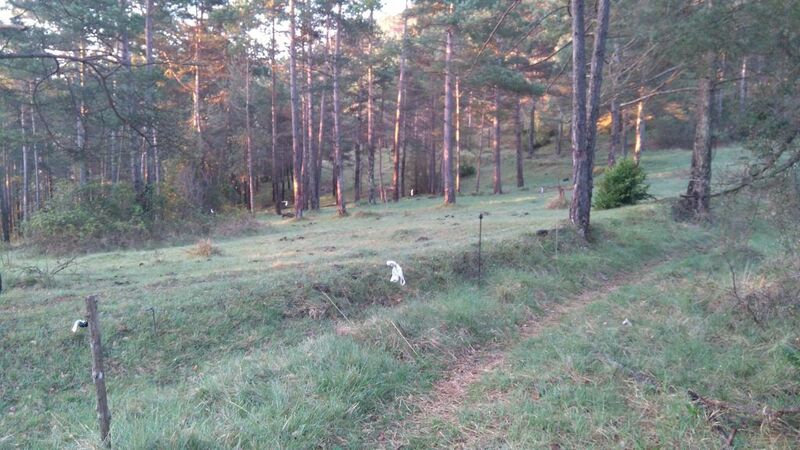 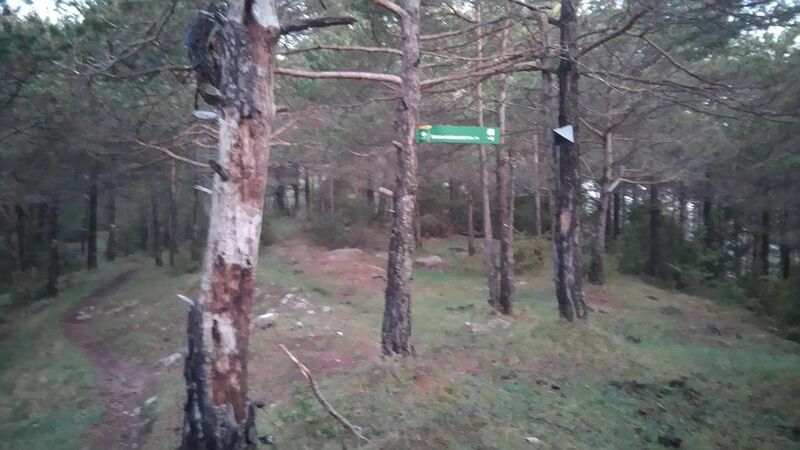 Pass beside the Mas de la Teuleria and walk for 20 meters by track to then turn sharply to the left. 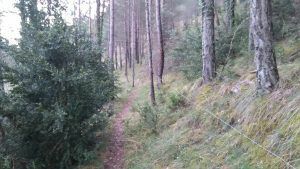 There is a livestock fence that could be taken as a reference, but there is no need to cross it at any point. You will pass through some beech forests and uphills until you find a track that must be crossed, to then continue by path. 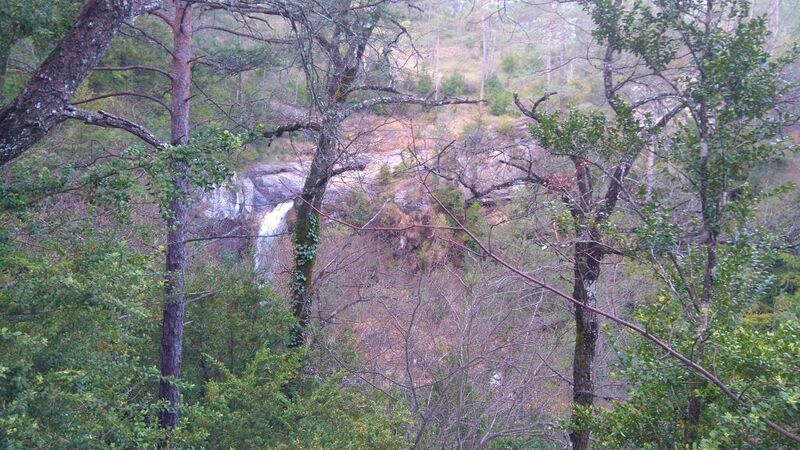 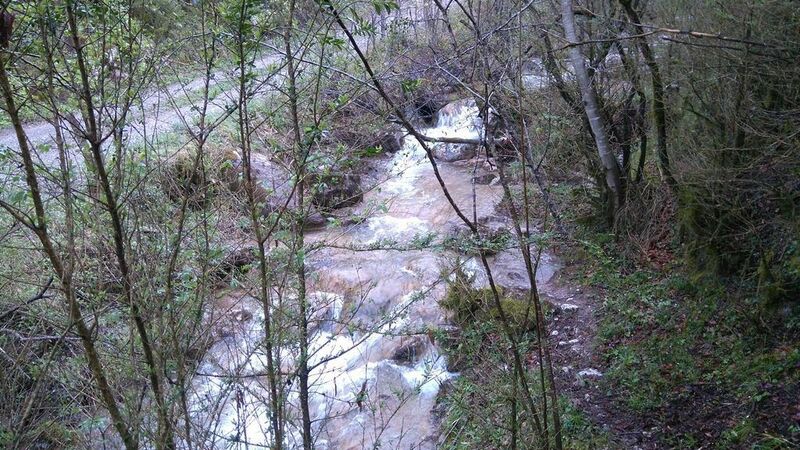 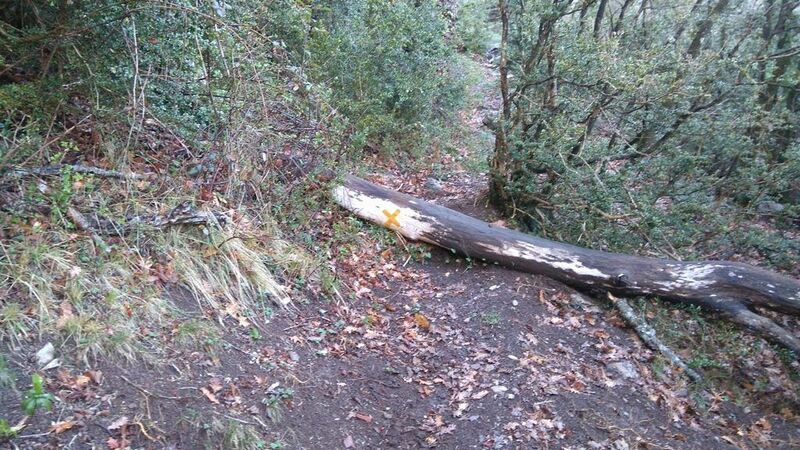 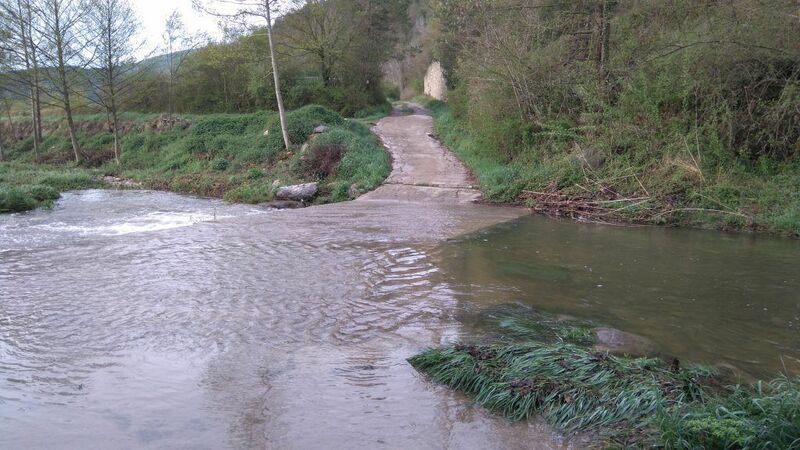 You will probably get a bit wet when crossing some streams on your way to Coll de la Batalla. 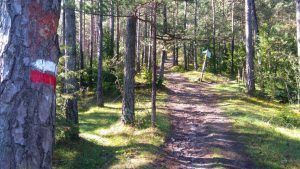 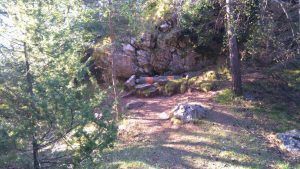 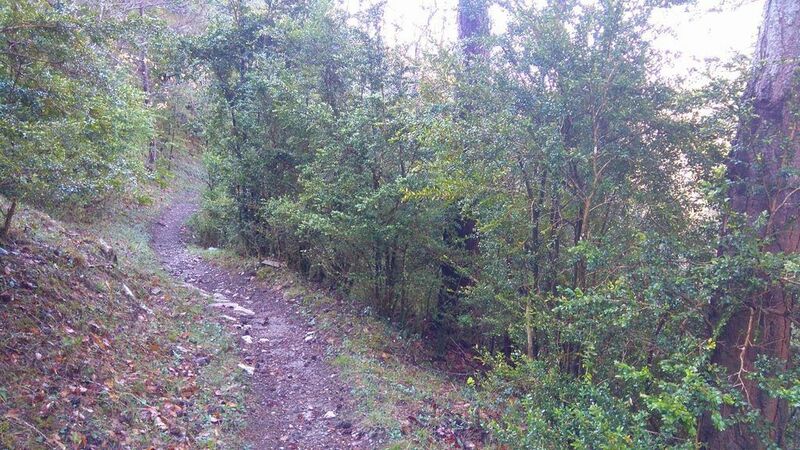 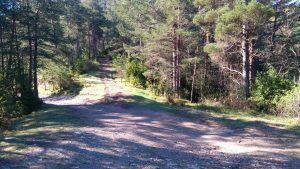 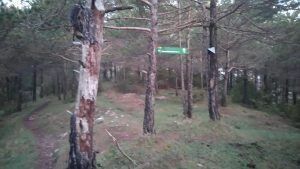 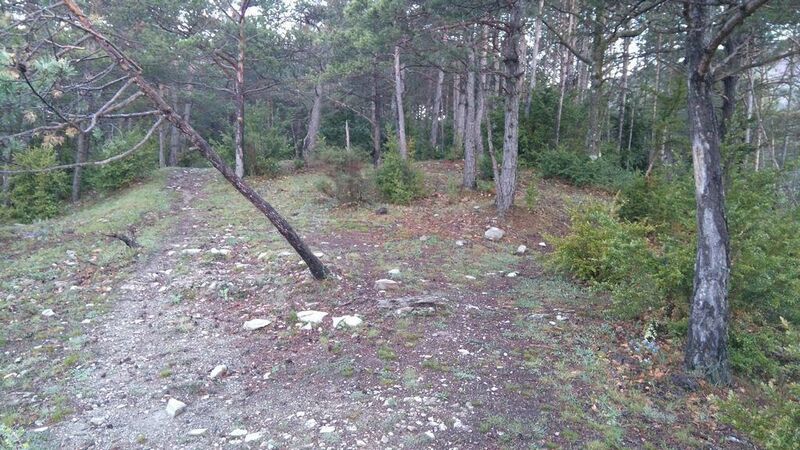 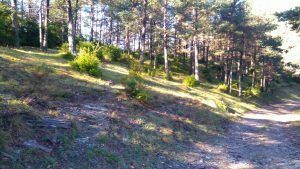 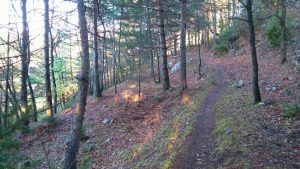 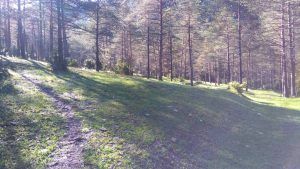 Continue walking a forestal track for 20 meters and after that you will have the last uphill stretch in Serrat de la Batalla. 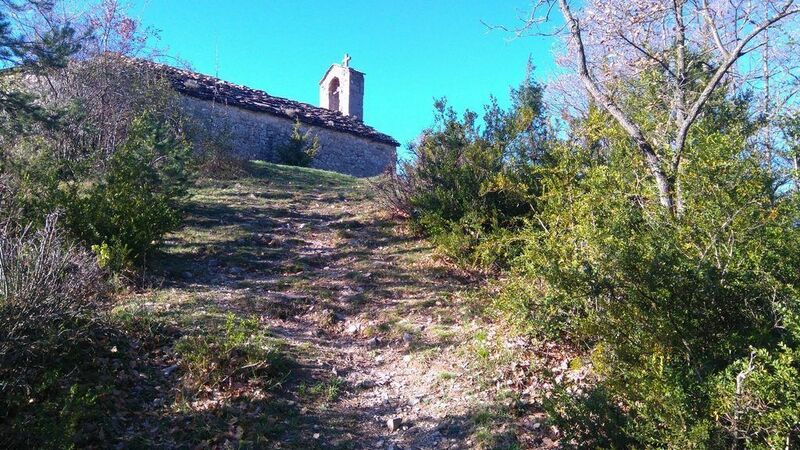 Keep moving between the trees and going across enclosures until you get to the Sant Cristòfol hermitage. 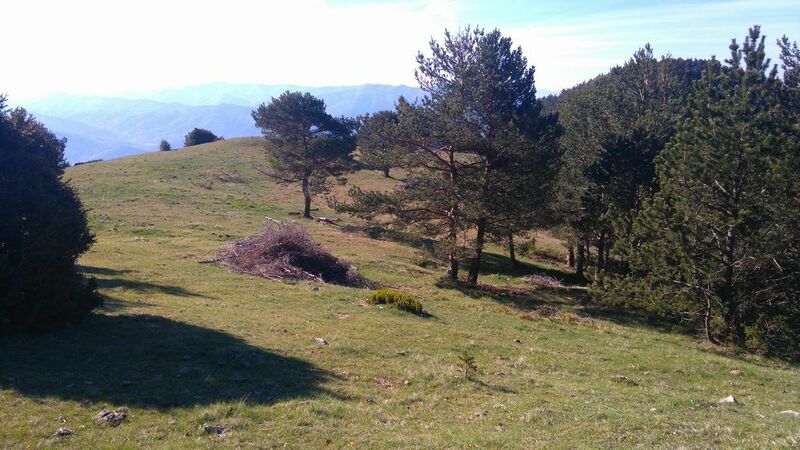 From there you can already see Campdevànol, very easy to reach retracing the initial indications. 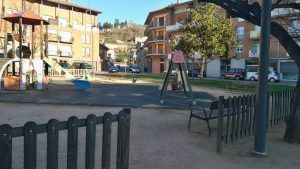 Once you get close to some houses, look for the staircase that will lead you directly to Plaça de la Mainada. 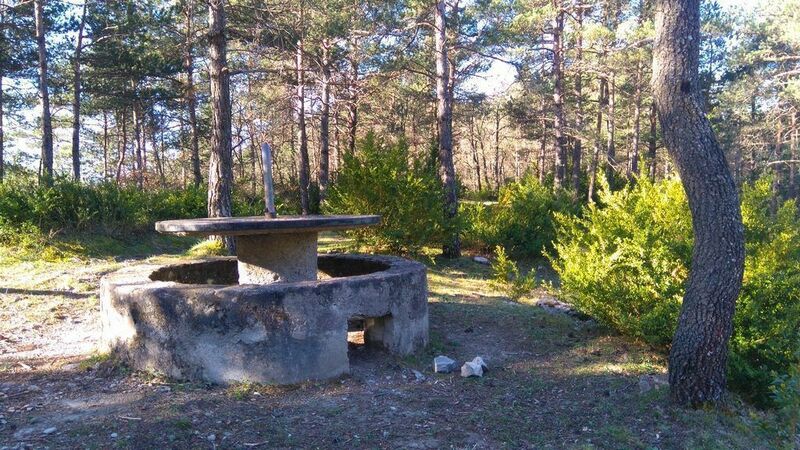 Water: All needed water facilities are available in Campdevànol. 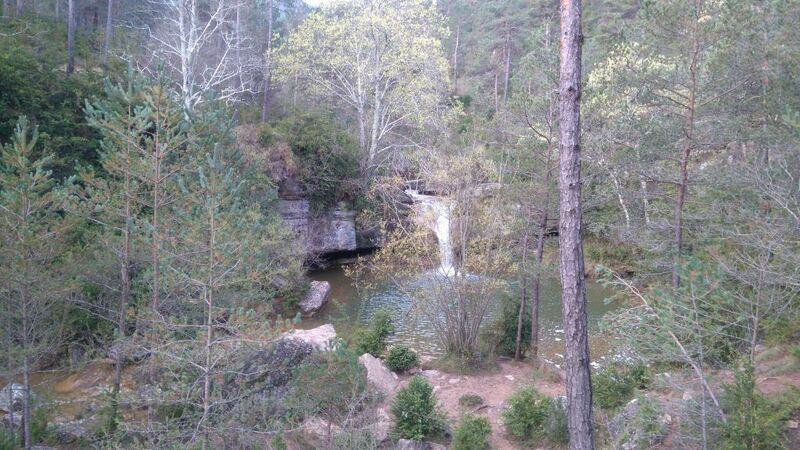 There is a fountain in la Guilla. 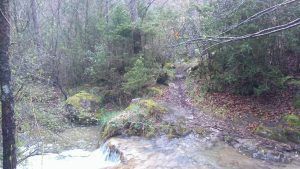 There is access to some streams along the route. 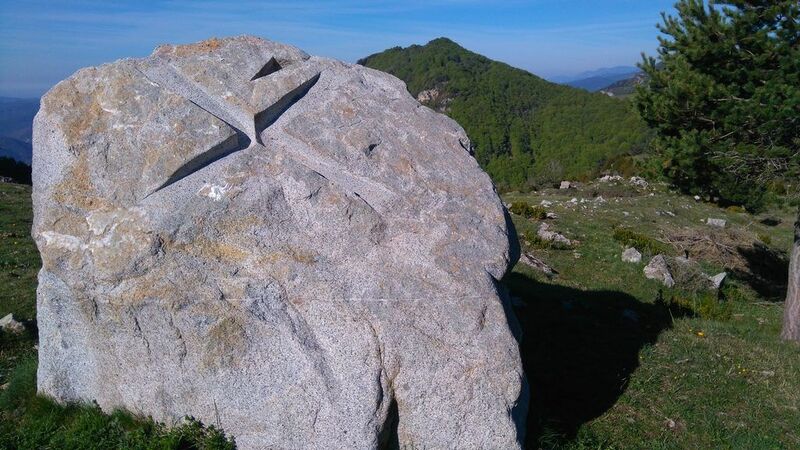 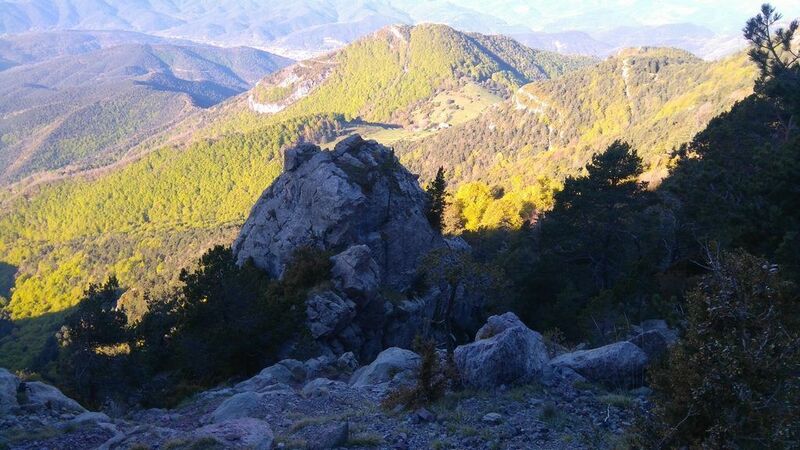 This is a challenging but rewarding route that will bring you to reach the summit of Sant Amand. 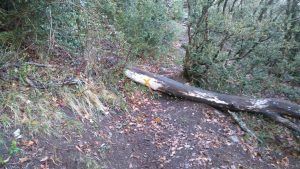 In winter season some areas might be frosted, so make sure you are well equipped and be careful specially around the highest spots and when crossing streams. It is the perfect trail for summer because of its large number of shaded areas. 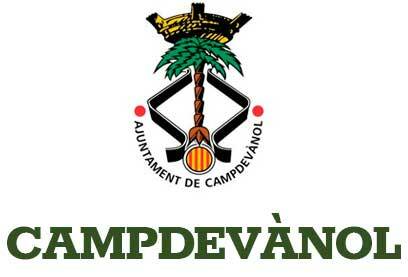 The route starts in Campdevànol, from Plaça de la Mainada and moving towards the City Hall and the sports area. Cross the road by the pedestrians crossing and you will pass by the paddle tennis courts. 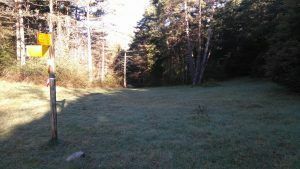 After that, go across a metallic fence and start walking the path that, in gentle slope, will bring you into the forest. 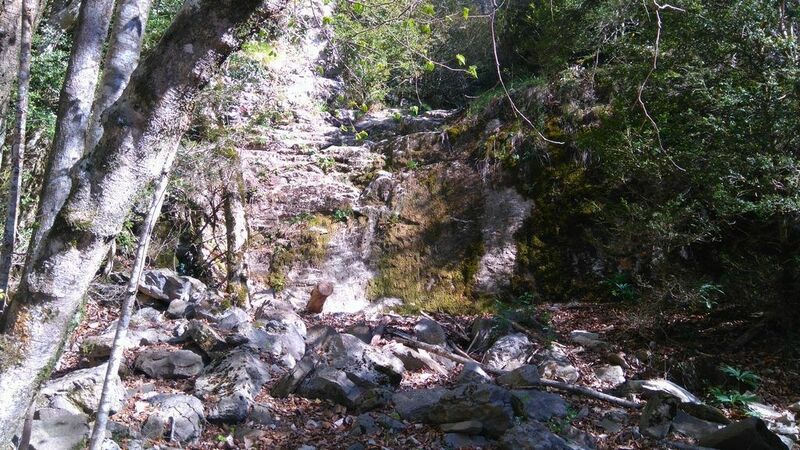 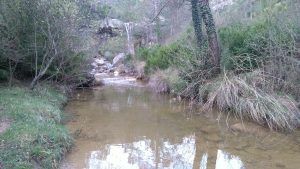 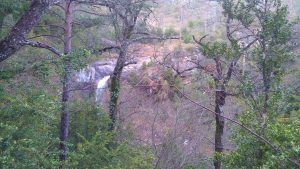 You will come across a flat forest track and after that you will cautiously pass some enclosures that will lead you to cross the stream Torrent de Sant Martí. 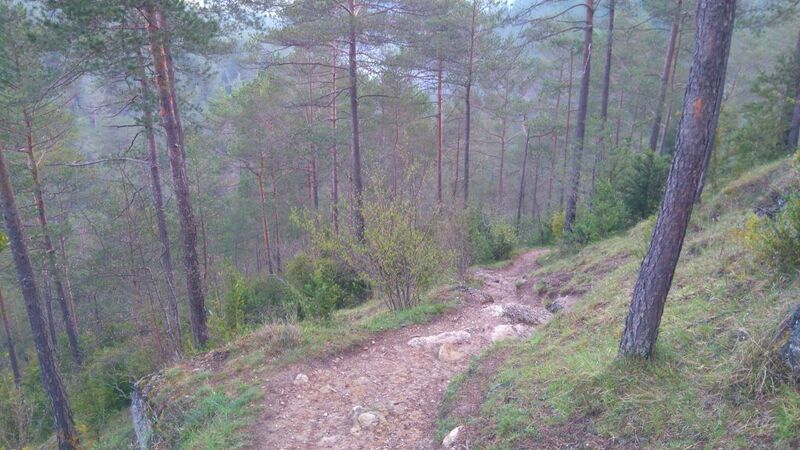 Keep climbing a path that becomes a forest track after a while. 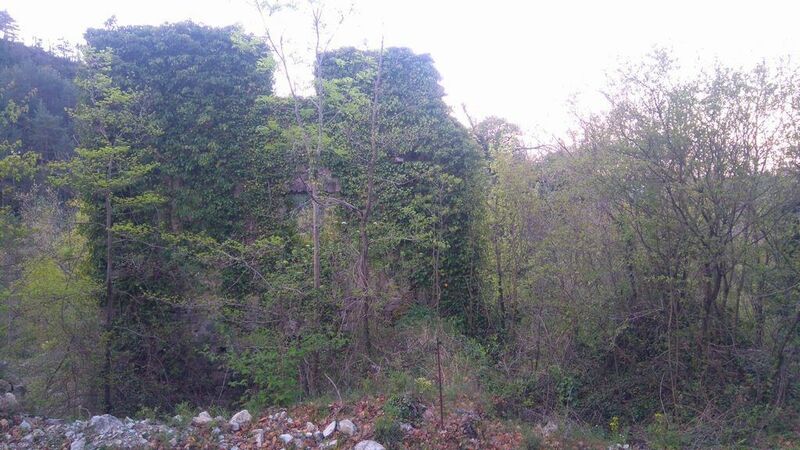 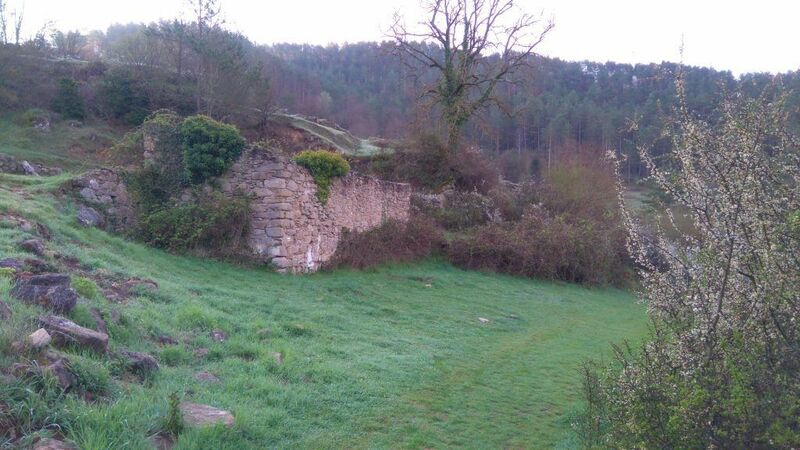 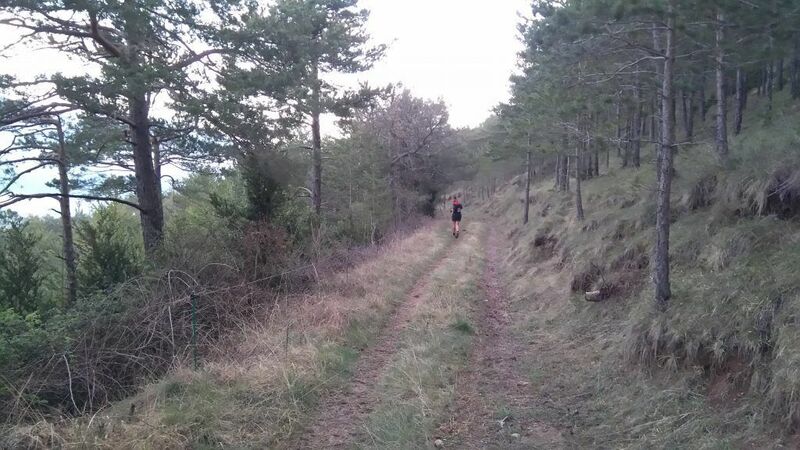 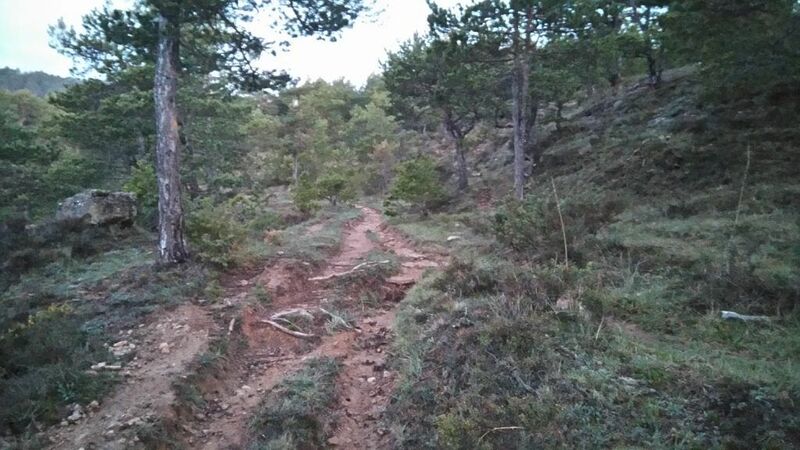 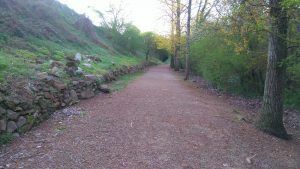 Following this track you will go past the ruins of Mas de Sant Martí de Baix. 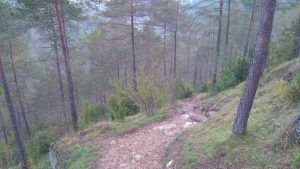 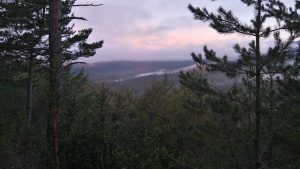 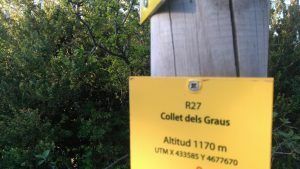 Take a path and, after crossing several times a forest track, continue the steady ascent till you meet Collet dels Graus. 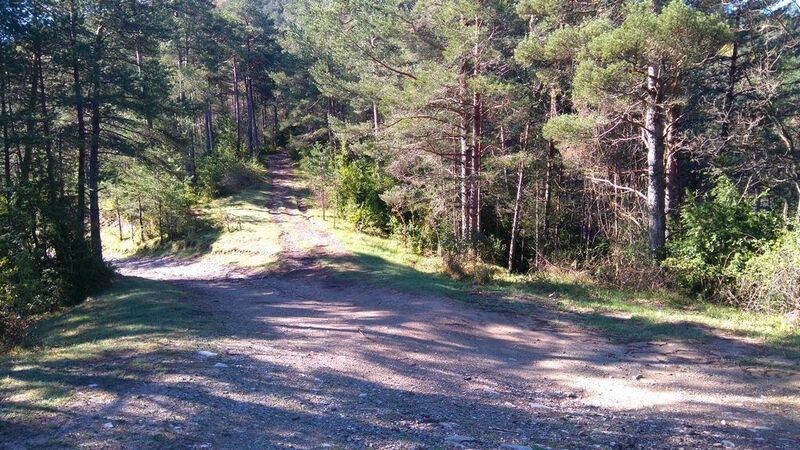 From that col, where you will see some sign-posts, continue towards “los graus” turning to the left. Once you pass a rocky path stretch you will get into a leafy beech forest. 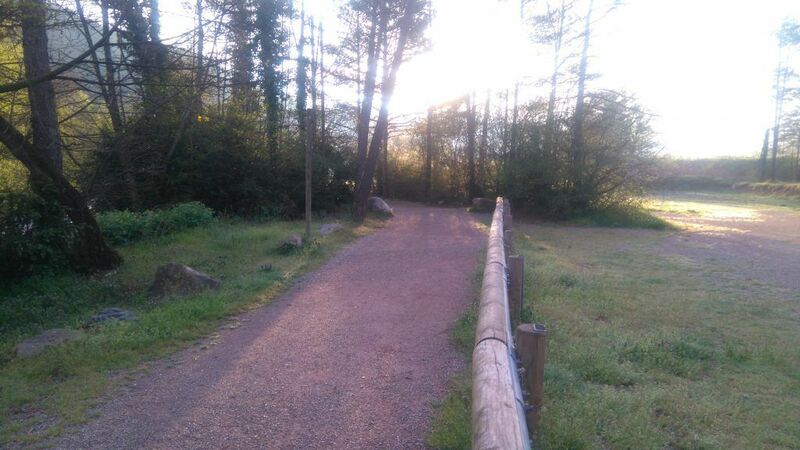 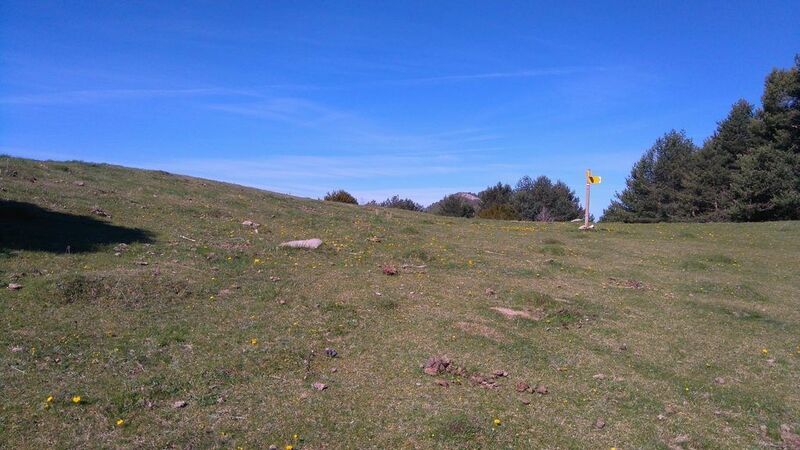 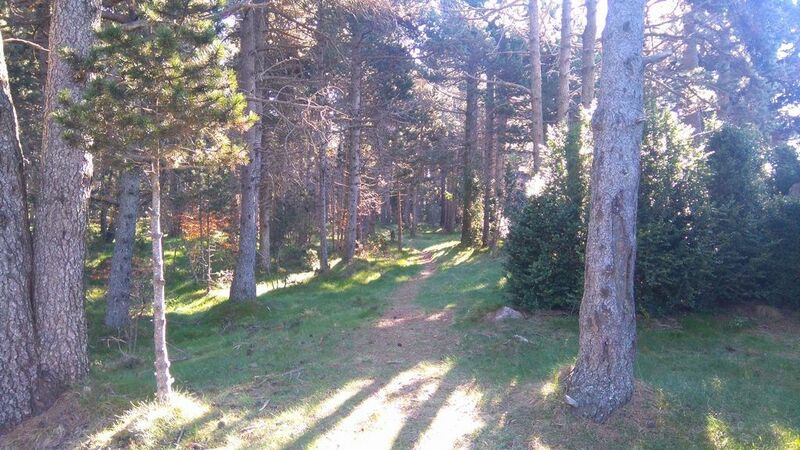 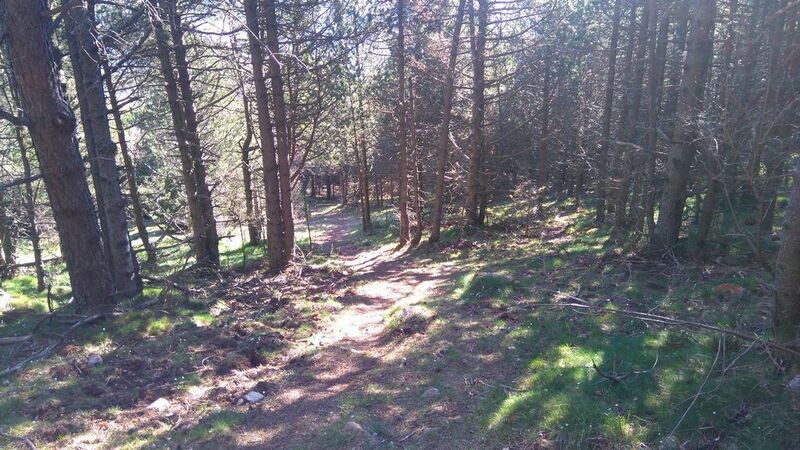 Follow the enjoyable and shady trail that will lead you to Saltor, an idyllic field at the foot of Sant Amand. Over there you will find too the hermitage and the farmhouse of Saltor. 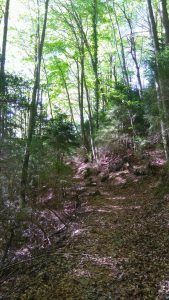 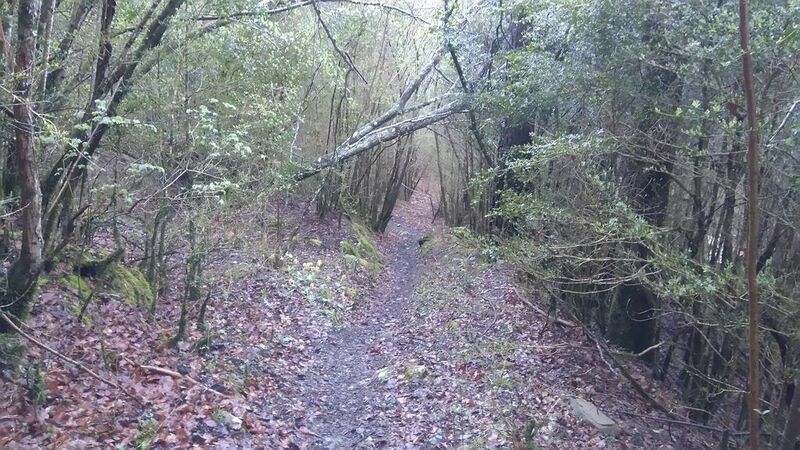 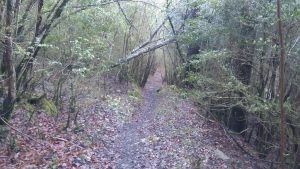 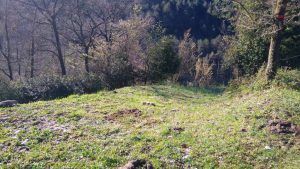 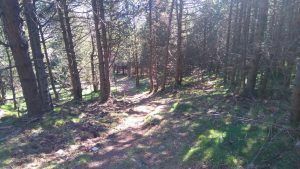 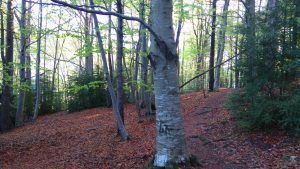 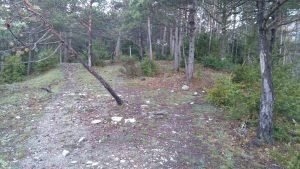 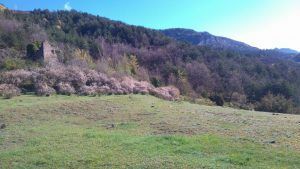 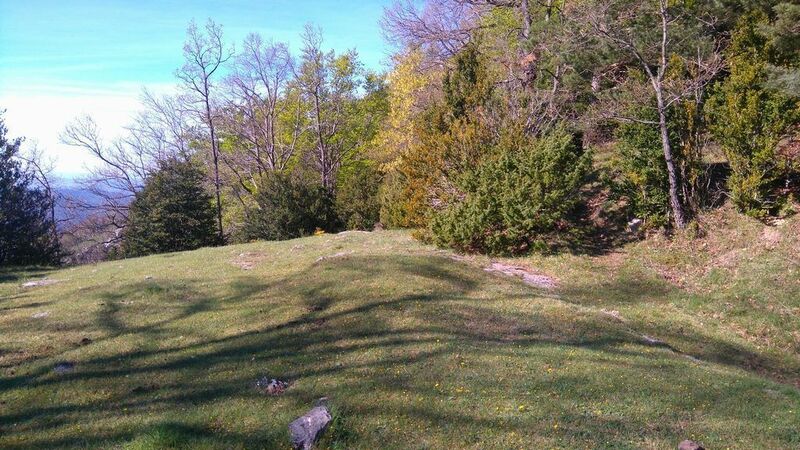 Go across the field and you will immediately find a footpath on an incline that constantly rises and goes through dense and shady beech forests that will transport you to Compte Arnau times. Leaving behind these forests you will come across a col with a disused trough. 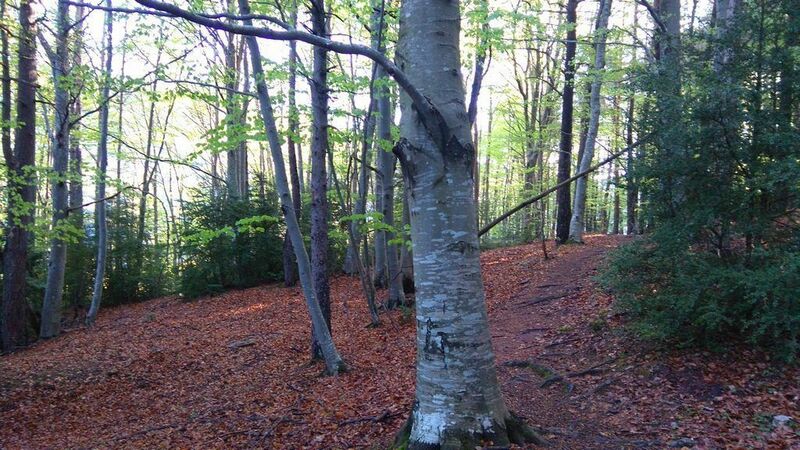 Turn left and keep walking that way, passing just beside an impressive millennial beech. Eventually, you will get to Canal de Sant Amand, where you might need your hands to climb in some parts. 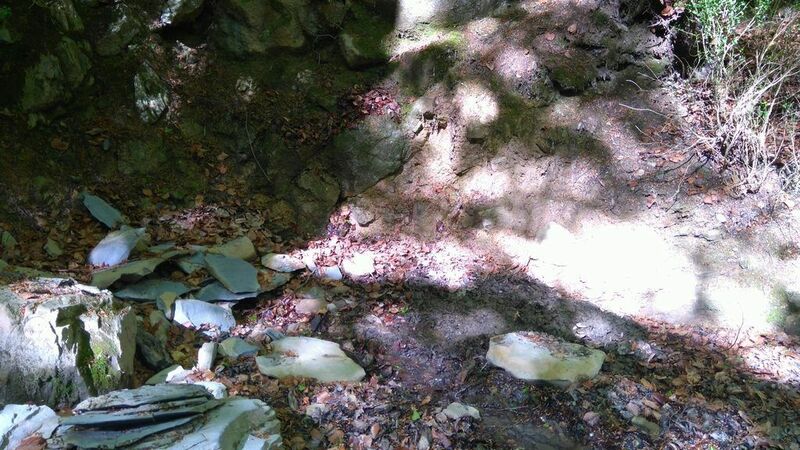 If you are going in a group, beware with falling stones. 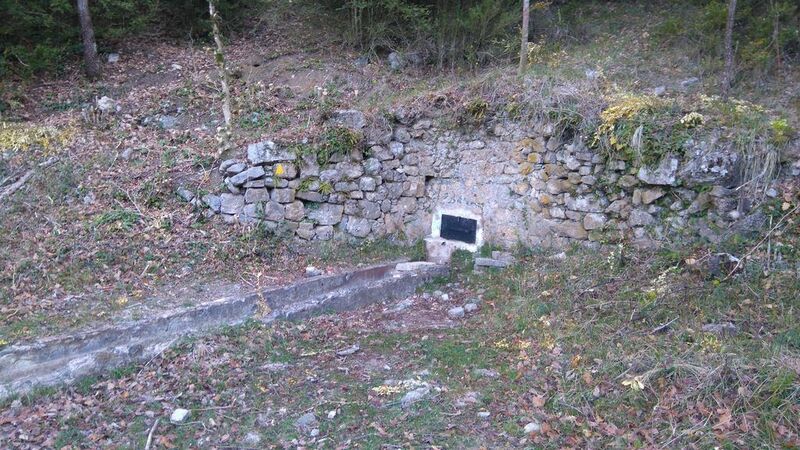 Once you have reached the headwaters of the canal, you will see the Font del Pi and just after that an enclosure. Pass it and at that stage there are just a few meters left to reach the summit and the immense cross that overlooks the astonishing surroundings. 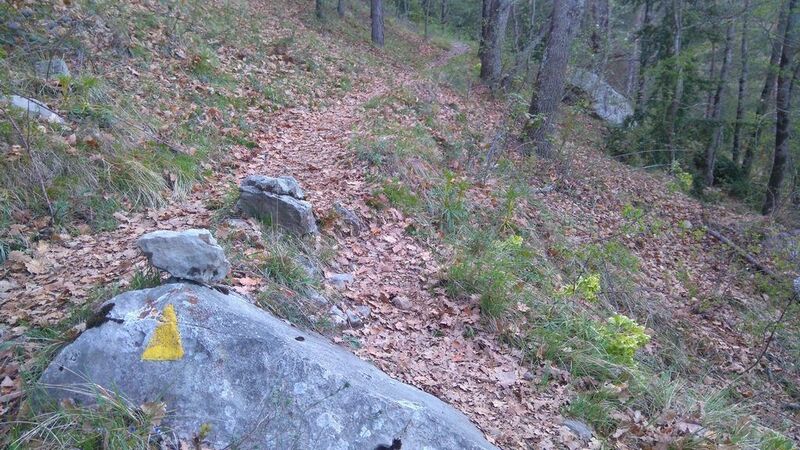 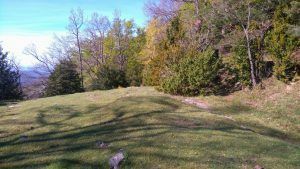 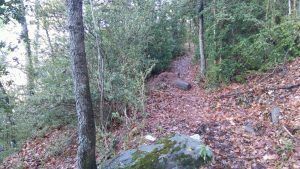 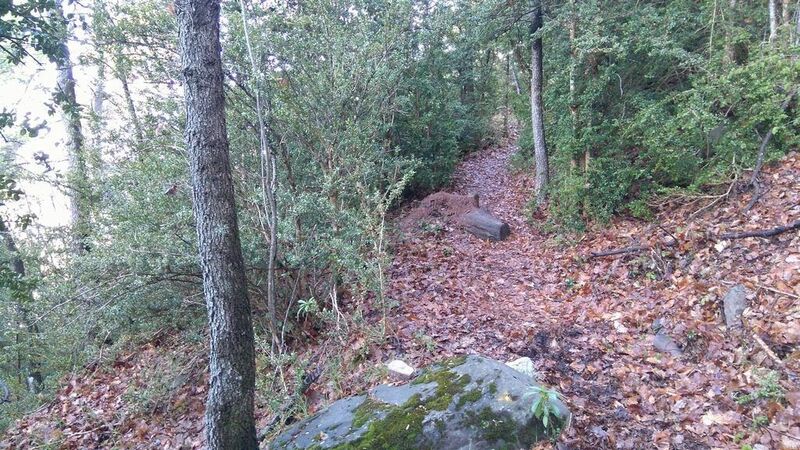 Come down the rocky hill and take the flat trail on your right. 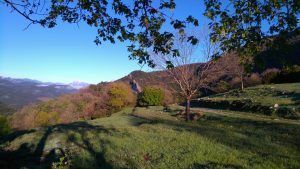 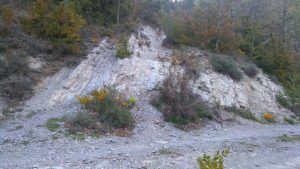 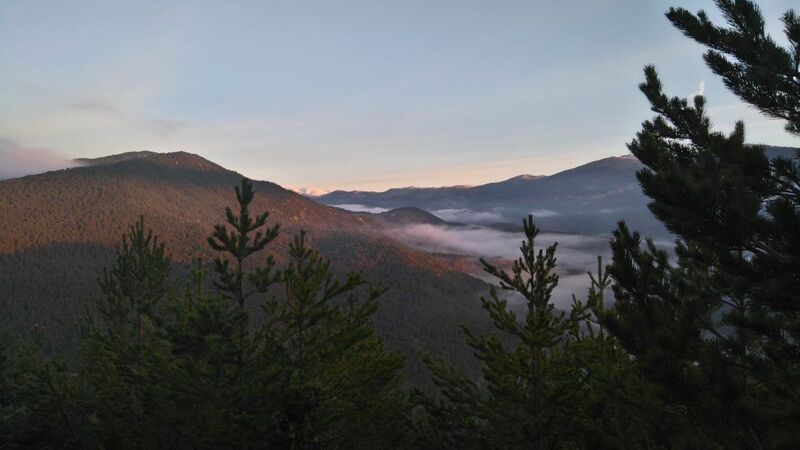 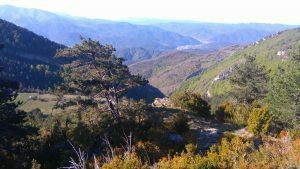 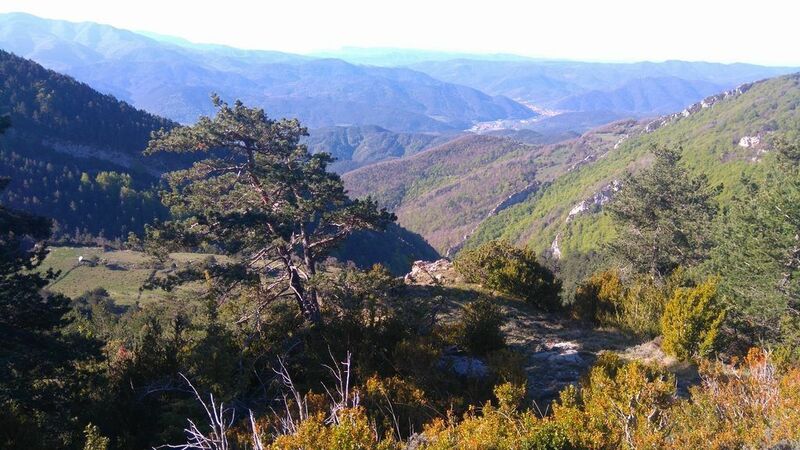 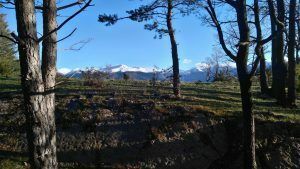 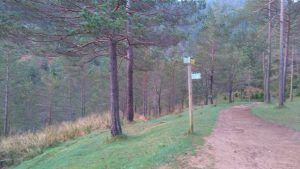 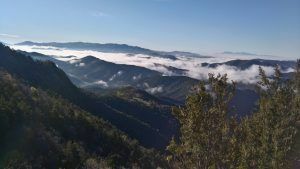 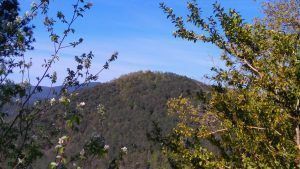 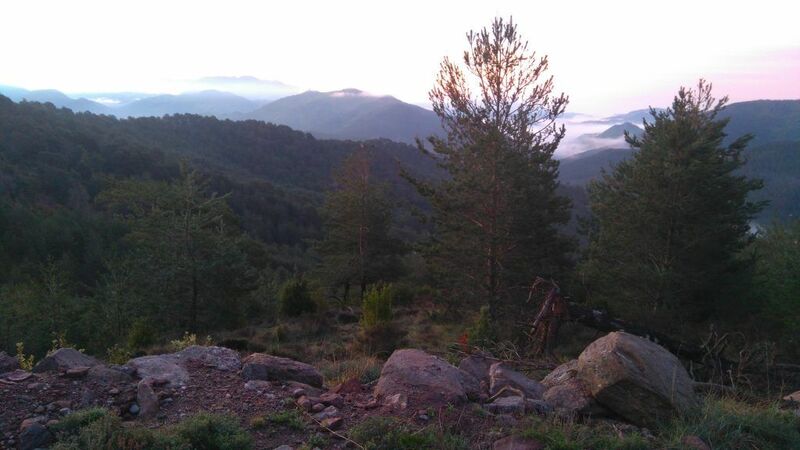 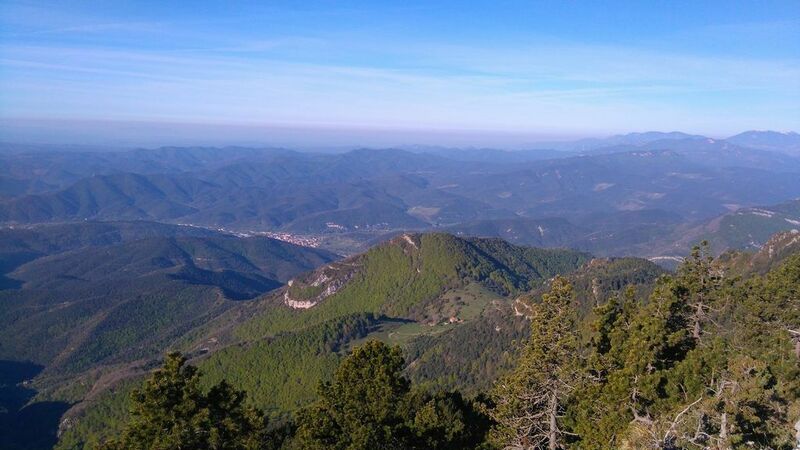 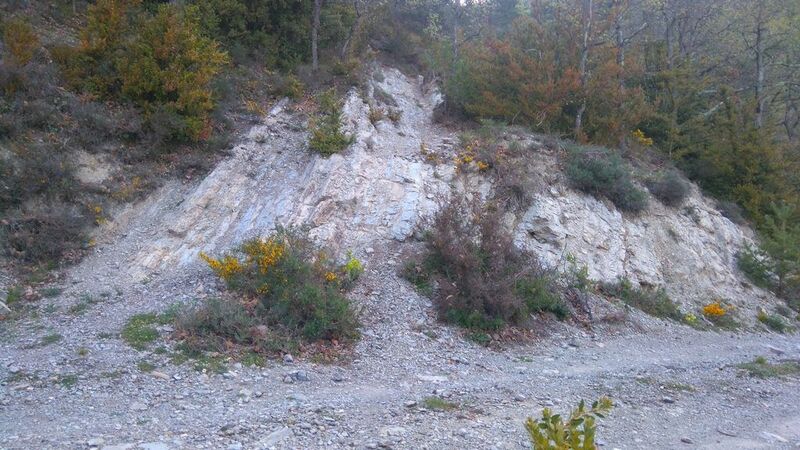 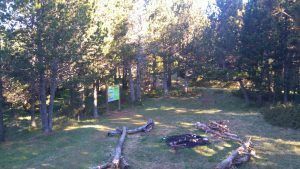 It will gradually go downhill and some areas can turn out quite technical, but it is worth because of the stunning views of Sierra Cavallera and Sierra de Milany. 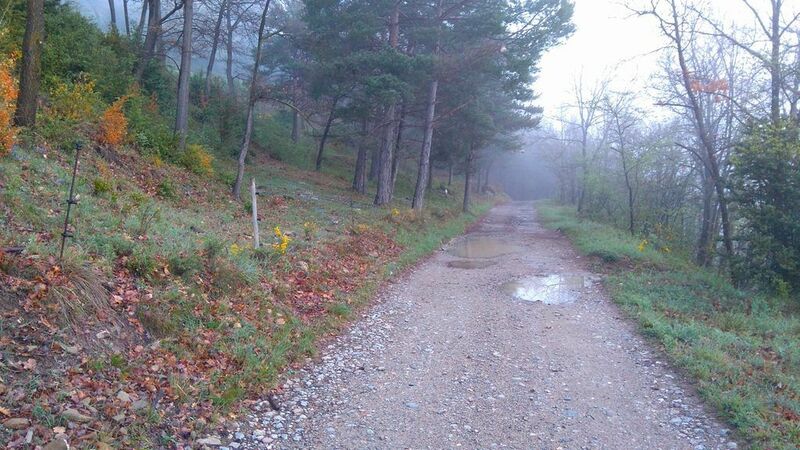 Keep descending till the open fields of Coll de la Tuta or Plans de Xirinacs. 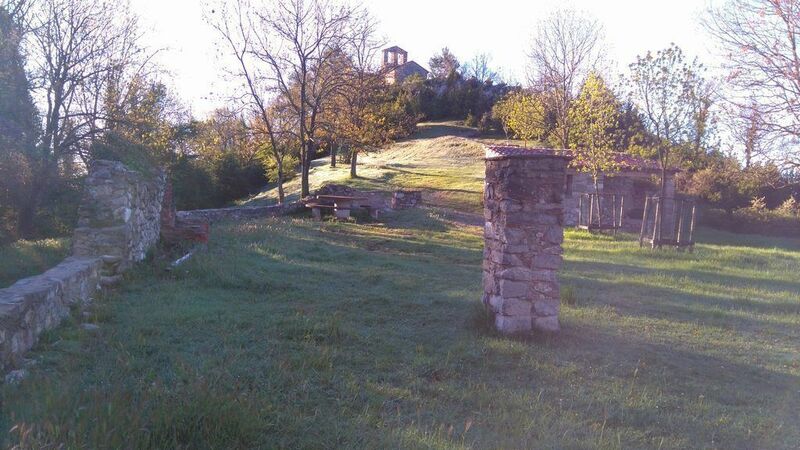 Go across the fields to take a path that will bring you around the ruins of Cal Pegot farmhouse. 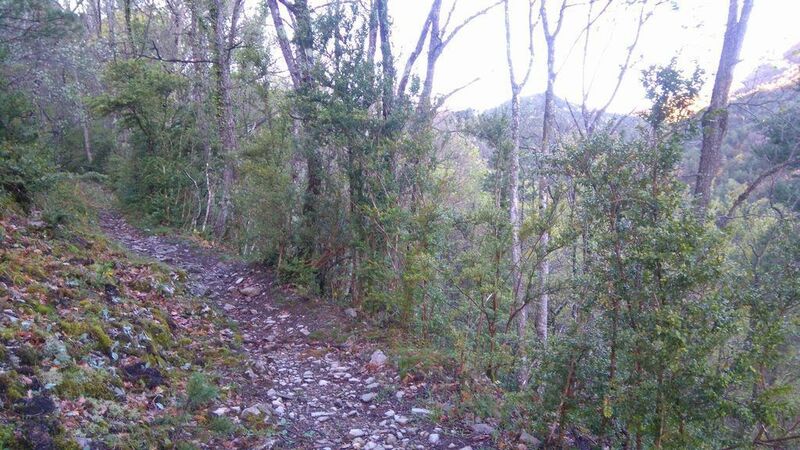 Continue along a colourful beech forest by an easy to follow path, passing some pools on your way. 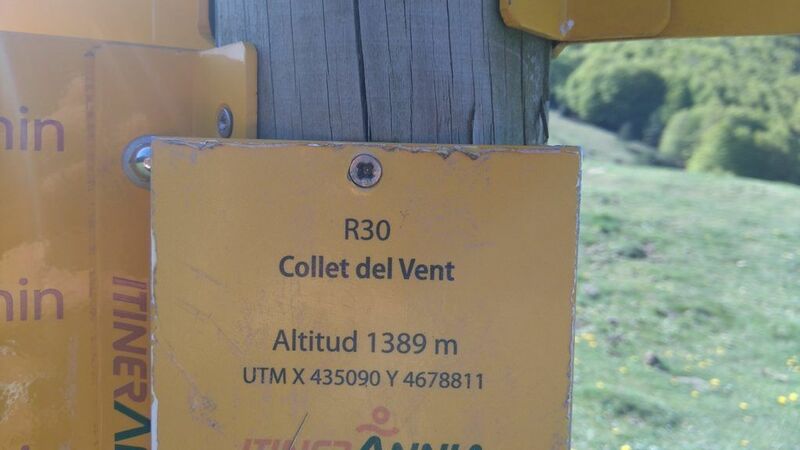 At some point you will come across the GR (Long-distance) and you have to take a sharp turn to the right to keep descending towards Collet del Vent. 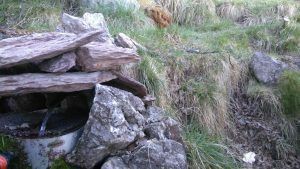 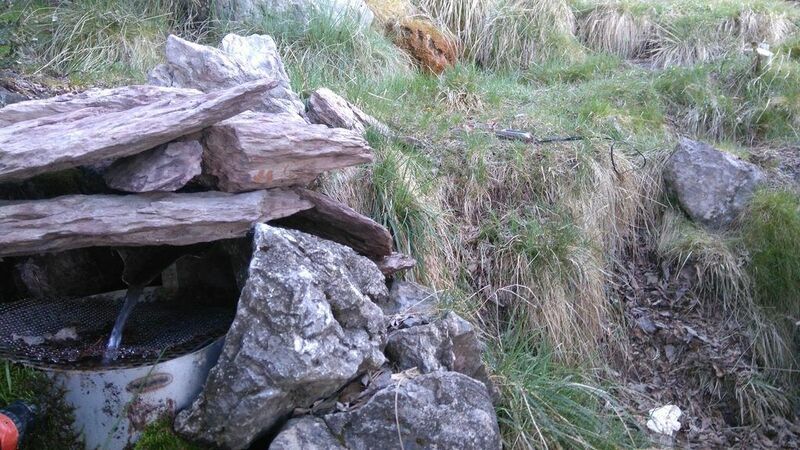 Just before reaching the col, you could have access to water beside a small pool and behind a couple of stone blocks. 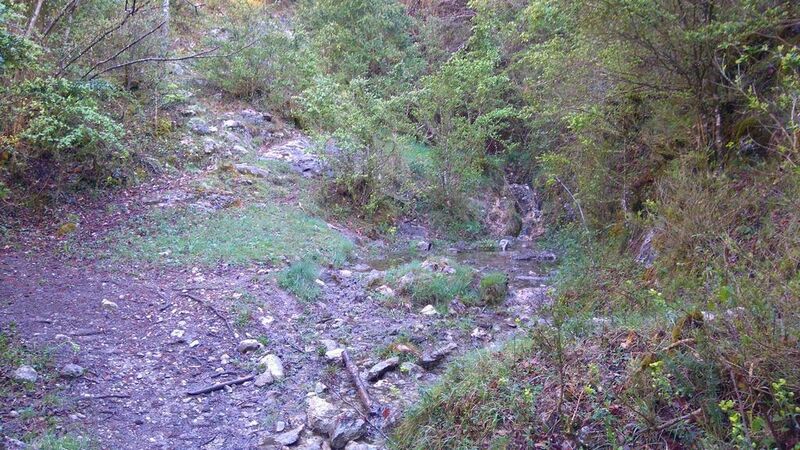 where there is water springing up. Once you are in the col, cross the field and you will shortly be back in Saltor. 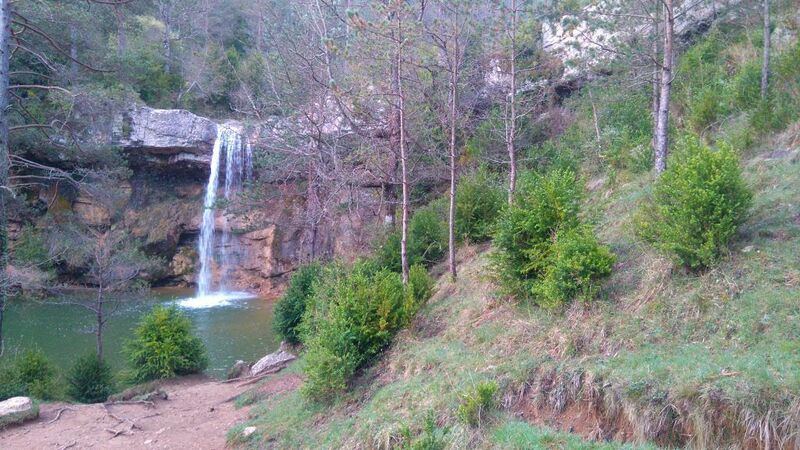 Once again, get into the beech forest to keep descending, passing by Camino dels Graus, its col, crossing the forest track and passing beside the fountain of Sant Martí Vell. 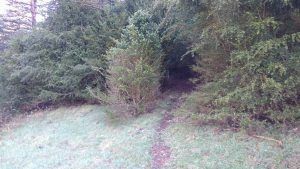 Walk along the track for 500 metres until you find and enclosure on your left. Keep moving straight for another 500 meters, passing by the old quarry, until you meet “la mesa” and the signpost that will indicate you the way to the Ermita de Sant Grau. 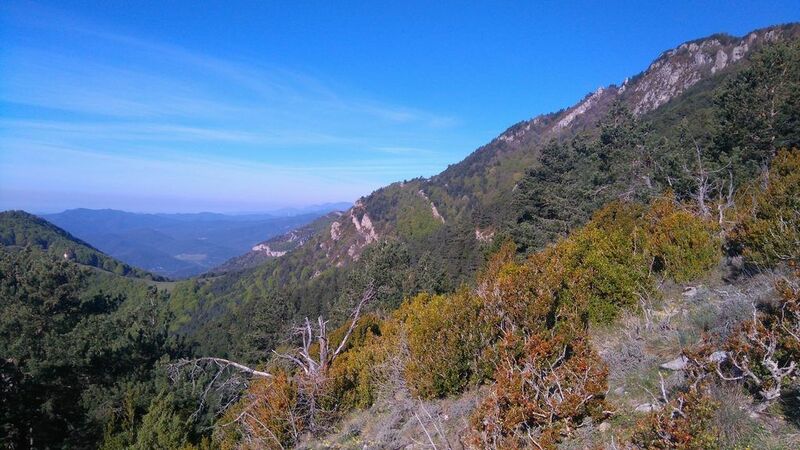 After this last uphill stretch, take a break and enjoy the amazing views over the Freser and Campdevànol. 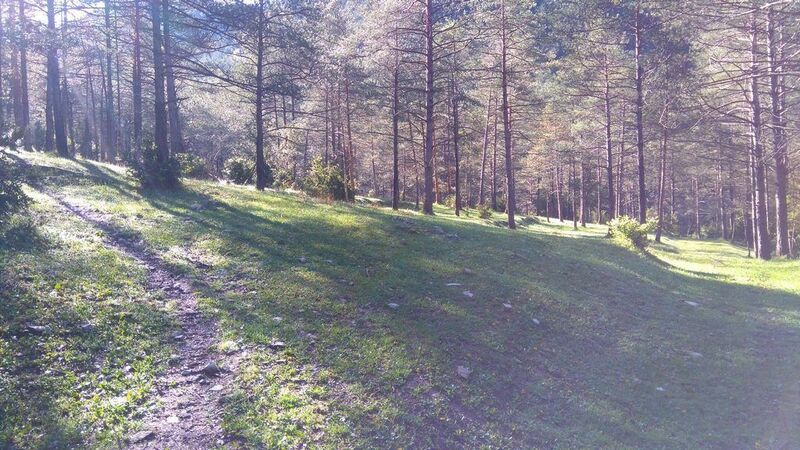 To continue the descent, follow the narrow but straight path that can be found on the right of the hermitage. 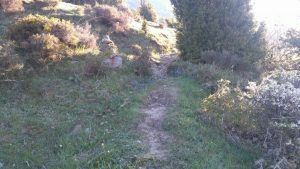 Walking that path, that will turn in zig-zag eventually, you will arrive to the fields near to Mas de Can Molí Nou, very close to Campdevànol. Cross the Torrent de Sant Martí and keep retracing your steps back to town. Once again, be careful while crossing the road and make your way along the streets of Campdevànol towards Plaça de la Mainada. Water: All needed water facilities are available in Campdevànol. There is a fountain in Ermita de Sant Martí Vell and also the Font del Pi, just on the way out of the Canal de Sant Amand.